Pu’u O Mahuka (“hill of escape”) heiau is the largest heiau (temple complex) on the island of O’ahu. 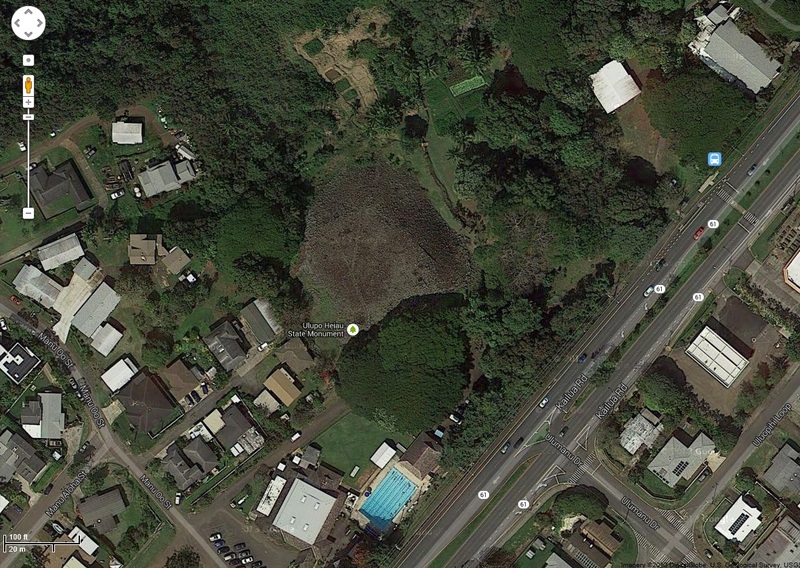 It covers roughly two acres of land and sits on the northern hillside of the Waimea valley, overlooking Waimea Bay. It was declared National Historic Landmark as early as 1962, due to its importance to Hawaiian culture and history. During the pre-contact period, Waimea valley was heavily populated. Not only was the bay and the valley used for fishing, taro and sweet potato cultivation, it also offered good canoe landing sites in the bay and high visibility for signal fire even between different islands from the hilltops. 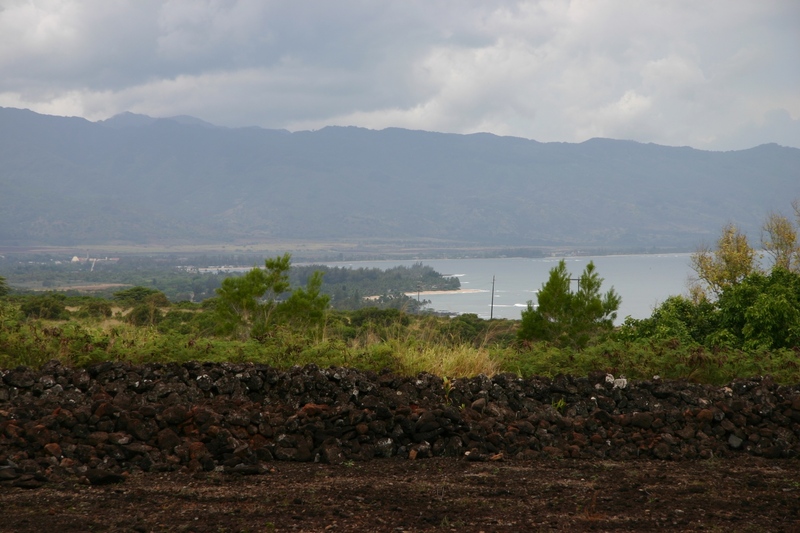 At a strategic location, at the valley mouth, overlooking the bay, are two large heiau, the Pu’u O Mahuka on the northern hills, and the Kupopole on the southern ones. Constructed in the early 17th century, Pu’u O Mahuka was remodelled several times to adapt to the needs of the changing high chiefs (ali’i nui). 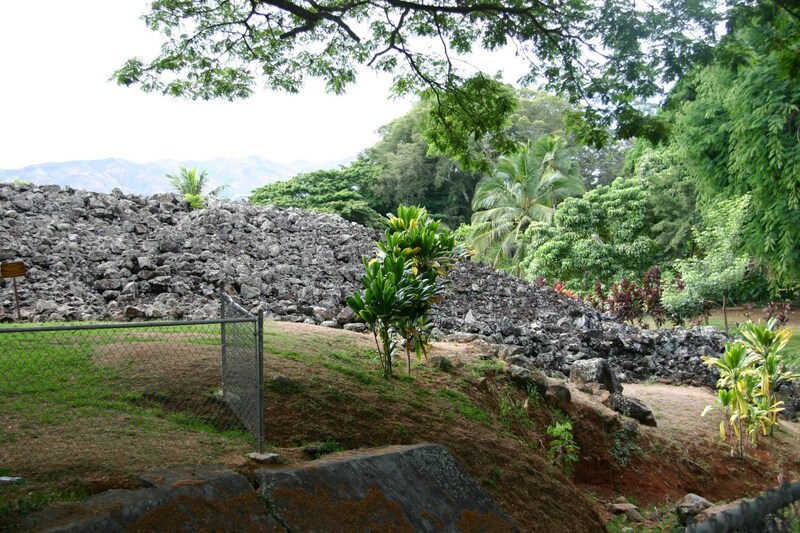 At first the upper (mauka) enclosure was built with a paved floor of basalt and coral boulders, then a paving of smaller stones (‘ili ‘ili) was laid over the boulders. 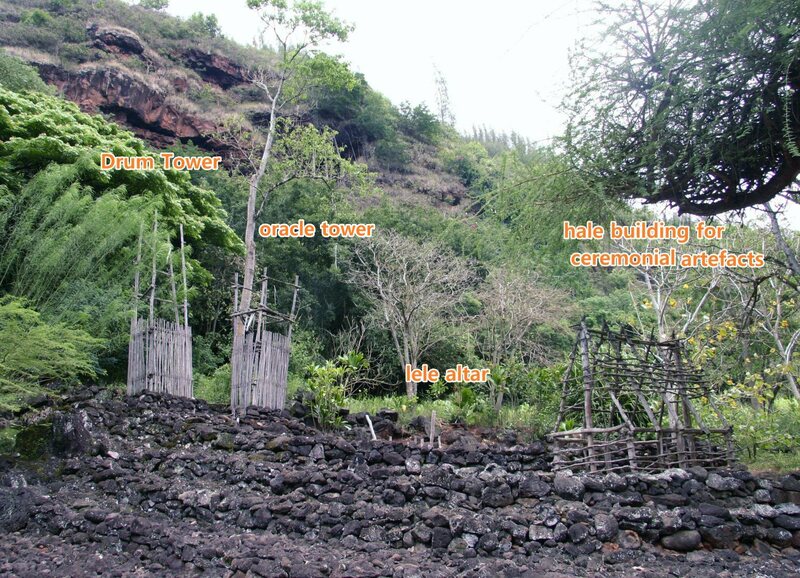 The upper enclosure represented a typical luakini heiau, dedicated to the war god Kukailimoku, with an oracle tower, ki’i figures, a lele altar, drum tower, and hale buildings which housed sacred water and artefacts needed for ceremonies. 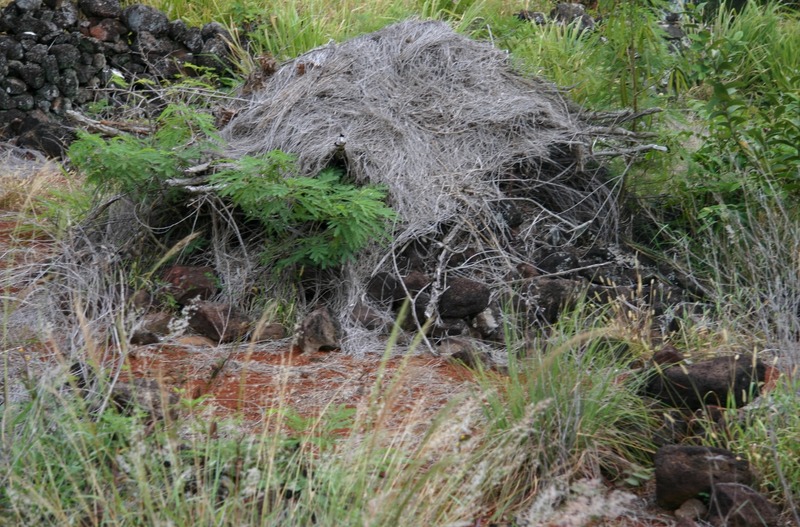 Later a second and third enclosure were added which provided for domestic activities and suggest a prolonged stay of the royal court in the heiau (cf. Kolb 1999 who excavated heiau on Maui and demonstrated diverse usage periods and reorganisation of the heiau investigated). 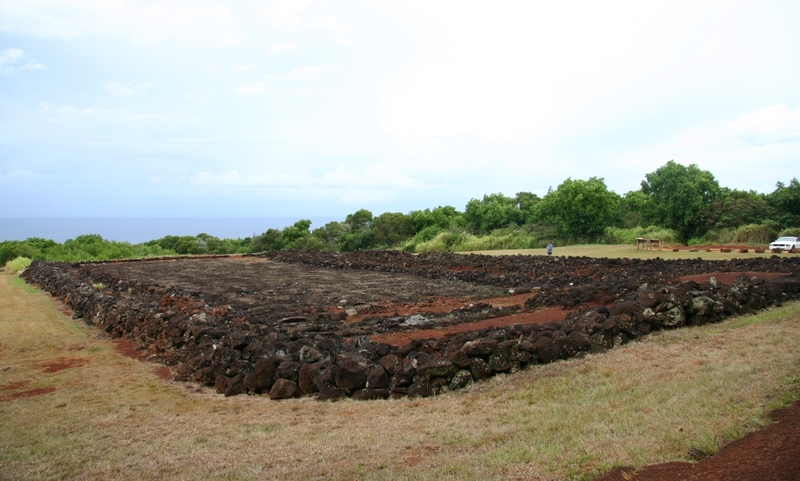 At around 1819 the heiau was abondend and the site used for agricultural purposes. The larger middle enclosure was probably used for cultivation. 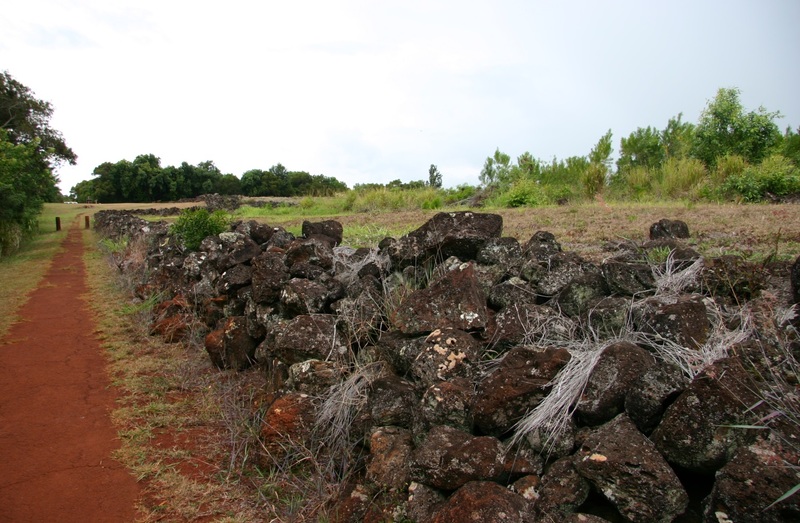 Smallish stone mounds around the outside of the heiau walls probably originated from clearance activities to make space for crops. 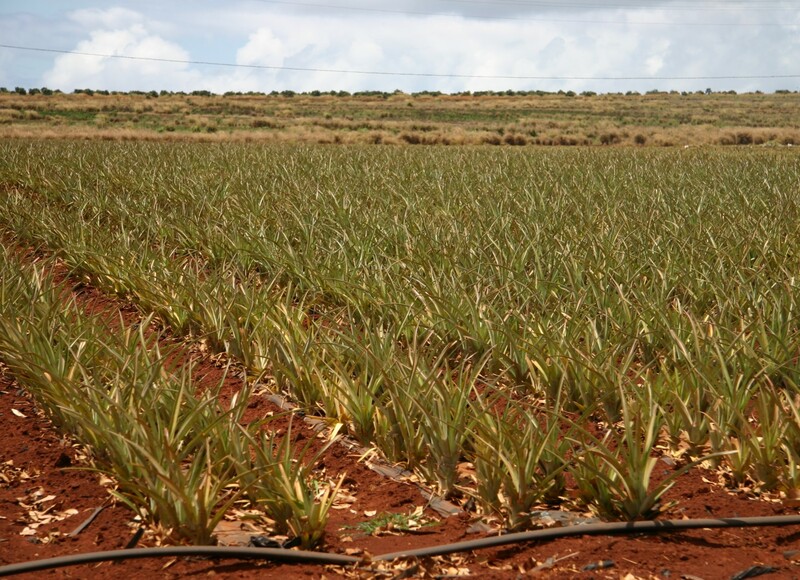 Up to the 1960s pineapple was grown around the heiau. Kolb, M 1999. 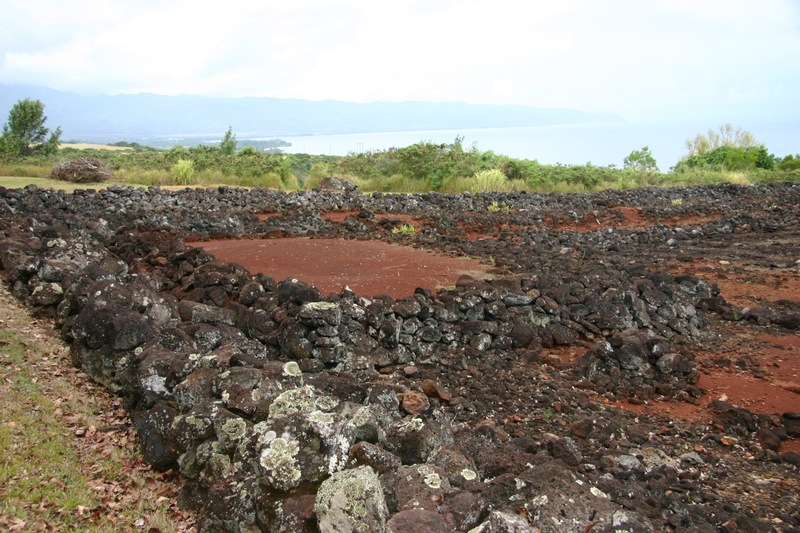 Monumental grandeur and political florescence in pre-contact Hawai’i: Excavatons at Pi’ilanihale Heiau, Maui, Arch. Oceania 34, 71-82. On the eastern edge of the Kawai Nui Marsh in Kailua, Oahu, Hawai’i sits the Ulupō Heiau. Its name means ‘night inspiration’ and all that is left of the second largest temple in Oahu is a huge stone platform and some stone features. Since there has been no archaeological investigation or any scientific dating, the exact age is not known. 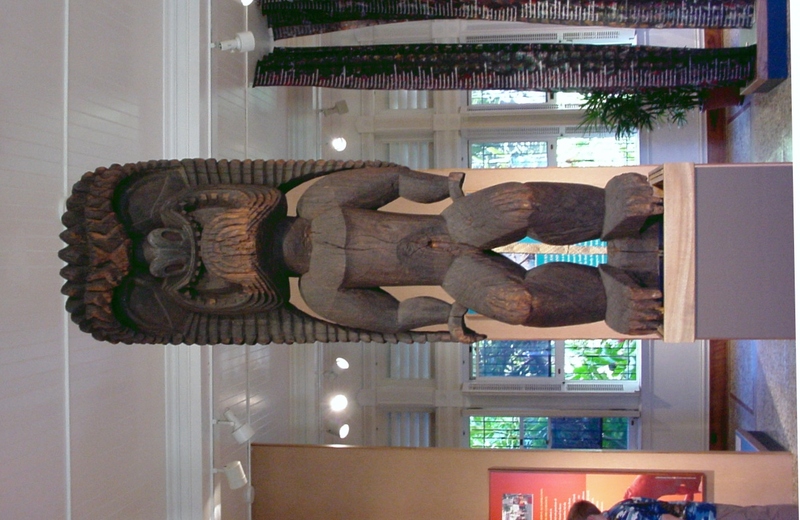 Muriel Seto, Culture Chair of Hawaii’s Thousand Friends and collector of oral histories says it goes back to around AD 900; its antiquity is also suggested by the mentioning of the menehune people (pre-Polynesian inhabitants of Hawai’i, often described as dwarfs) as responsible for the first stage of the heiau (SterlingSummer 1978, 233). A comparison with heiau on Maui, which have been radiocarbondated, however, points to a later date at around AD 1300 (Kolb 2006). Heiau in general are structures which range from single houses surrounded by a mere wooden fence to stonewalled enclosures containing more than one building to these massive open air temples with several terraces, large platforms and carved wooden figures of Hawaiian gods. High ranking positon holders and priests constructed these temples. Some, especially the mapele (agricultural temples) heiau which were dedicated to the god Lono, held ceremonies for a general audience. Others, like the luakini (war temples) were accessible only by the aristocracy and the kahuna (priests). 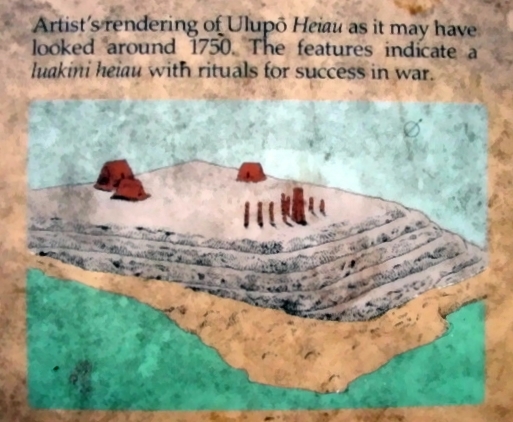 The Ulupō heiau began its life with the legendary menehune and later with high chiefs of Oahu, such as Kakuhihewa in the 15th century and Kuali’i in the 17th century. Ulupō had its peak of importance around 1750 when Kailua was the political seat of power for the district of Ko’olaupoko and the favoured residence of Oahu chiefs because of the fish pond (which is now the Kawai Nui Marsh) and the superb canoe landing point at the bay. 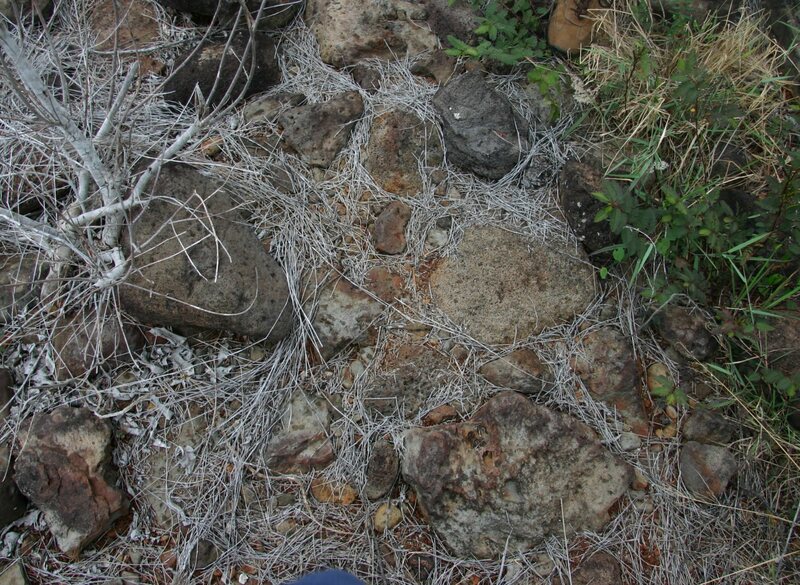 After Oahu was conquered in the 1780s the heiau was abandoned. It was turned into a territorial park in 1954, restored in the early 1960s, and listed as State Monument on the National Register of Historic Places in 1972. It probably started its life as a mapele heiau, but Kauli’i eventually turned it into a luakini heiau with an altar, an oracle tower (anu’u), thatched hale buildings and wooden images (ki’i). A nice comparison can be seen in the restored Hale O Lono heiau at Waimea Valley (built between AD 1470-1700). 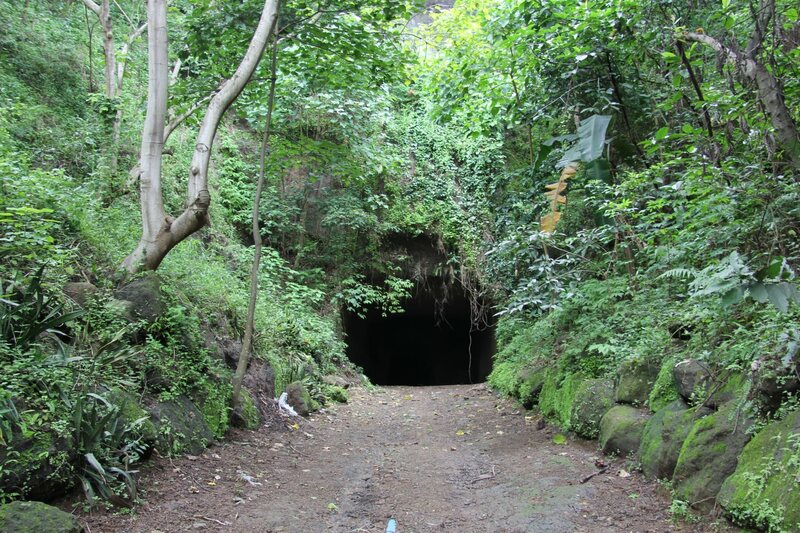 While mapele heiau required offerings of pigs, vegetables and tapa (bark cloth), The warrior god Kukailimoku demanded not only animal offerings but also human offerings. The still very visible stone platform measures 42m x 54m and the outer walls are 9m high. 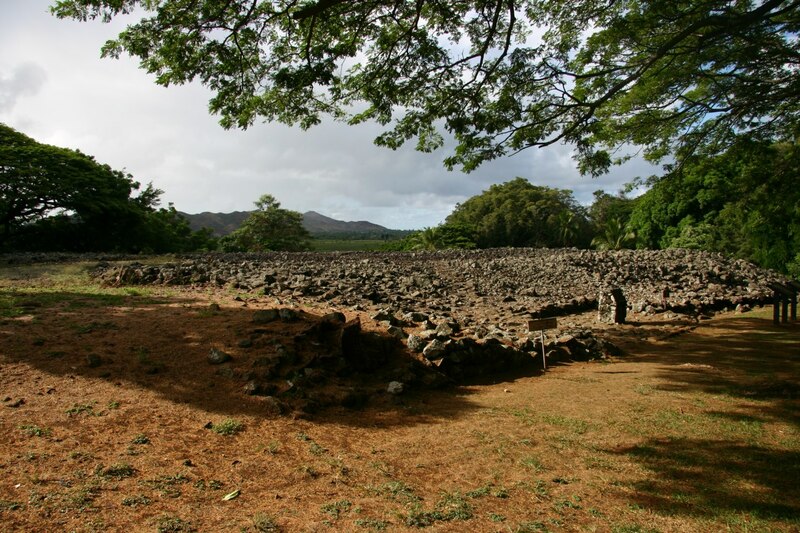 In mass and volume of stones used in its construction it is even the largest heiau in Oahu. 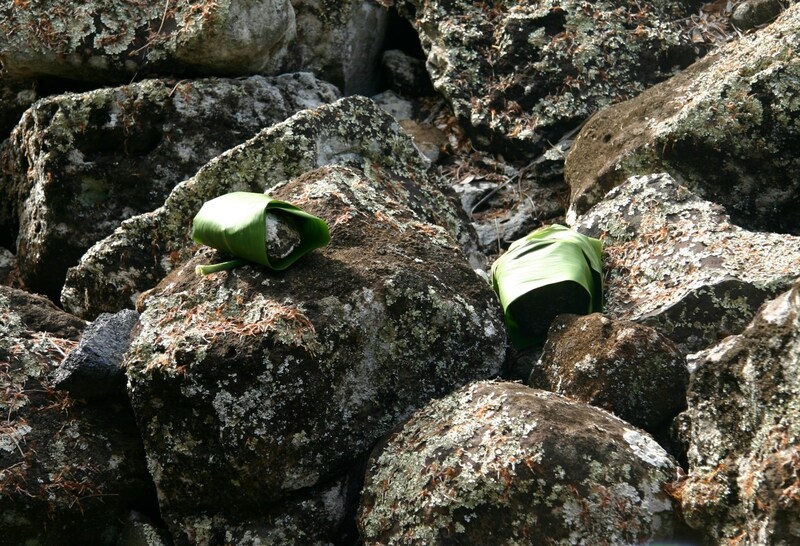 Some stones were brought over more than ten miles away, from Kualoa north of Kailua. 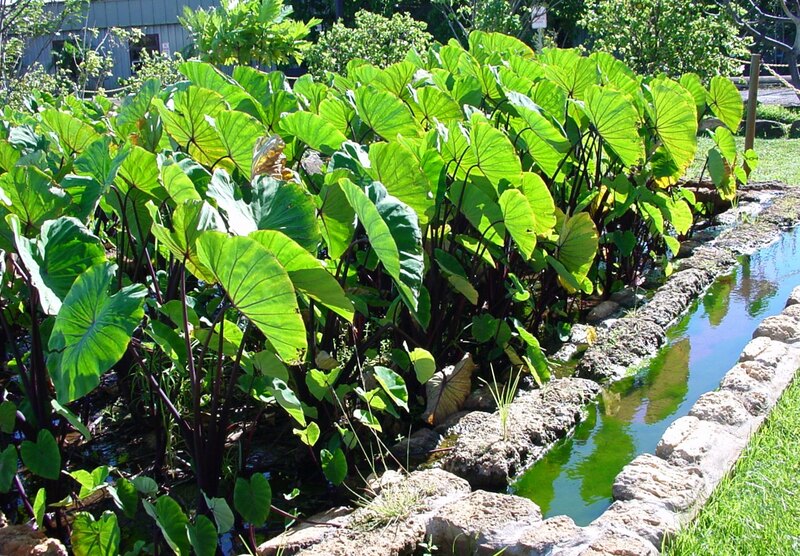 An important feature was the natural spring which was feeding the crops of taro, sweet potato, and sugar cane. 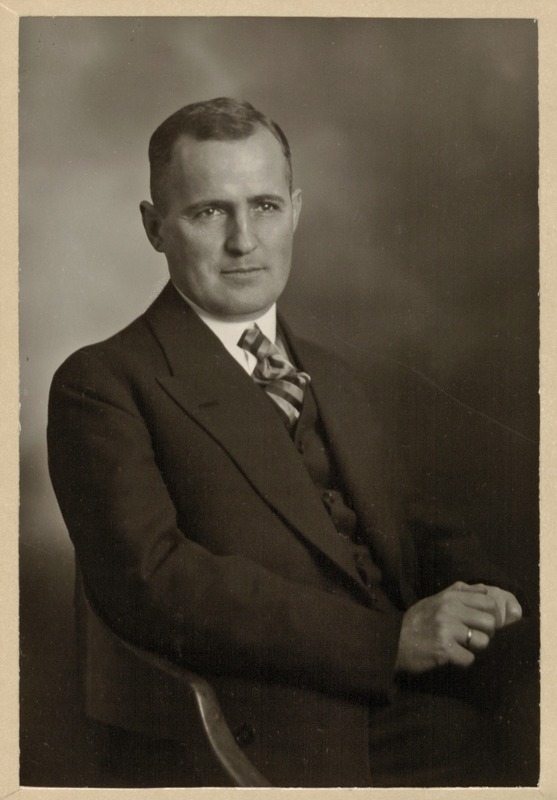 Kirch, P 1996. Legacy of the Landscape: An Illustrated Guide to Hawai’ian Archaeological Sites, Honolulu. Sterling, E and Summers, C 1978. Sites of O’ahu, Honolulu. Kolb, M 2006. The origins of monumental architecture in ancient Hawai’i, Current Anthropology 46 (4), 657-64. 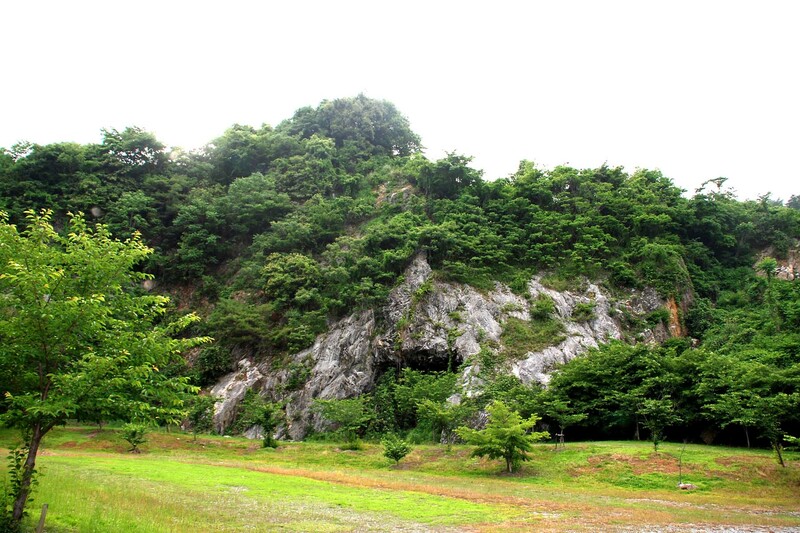 The area of Hamamatsu in Shizuoka Prefecture has been settled since the final Palaeolithic. 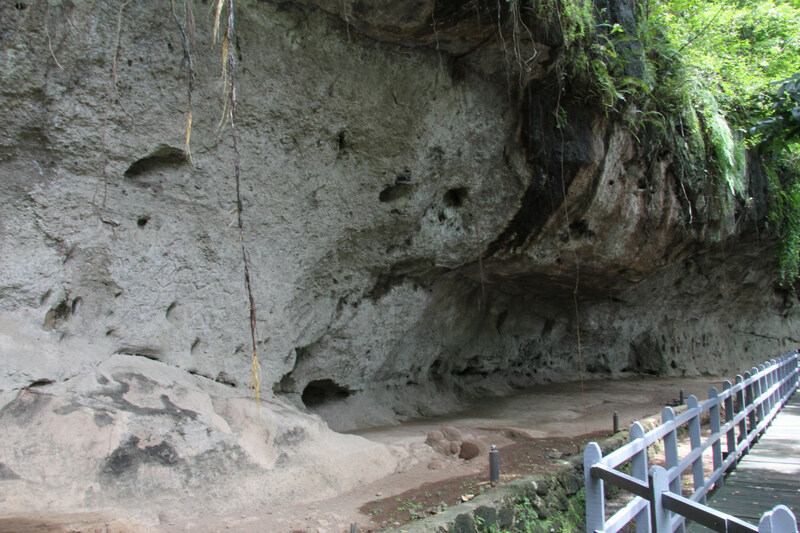 The Negata cave, situated in a lime stone quarry in Hamakita, produced human fossils in two different ‘human bed’ layers (Shuzuki et al. 1966). 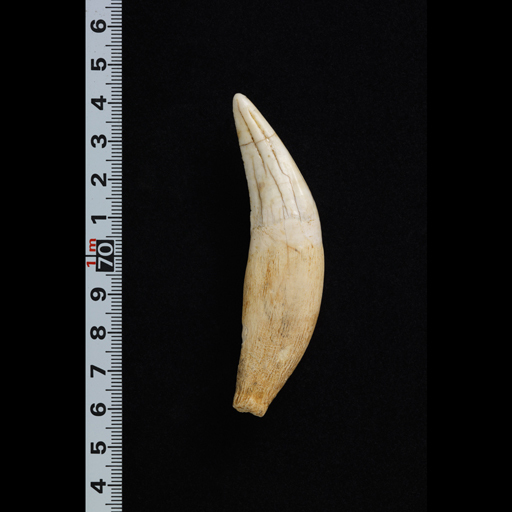 The younger ones were radiocarbon dated to about 14 ka cal BC, the human tibia from the lower levels could not be directly dated since no collagen was preserved.However, comparable leopard/tiger bones were dated to 17 ka cal BC (Kondo, M & Matsu’ura, Sh 2005, 159). During the early Kofun period (3rd to 7th century AD) Hamamatsu must have been controlled by a powerful clan (Gōzoku 豪族) which is evidenced by the many cairns, kofun , bronze bells and so on. 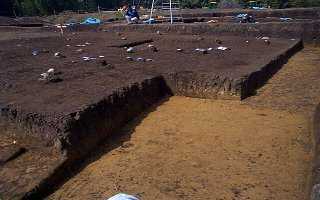 The smaller Hetabira 1 keyhole kofun ( 辺田１号墳遺跡 ) from the late 5th century was excavated in 1997. Among the haniwa (clay figurines that were placed on and around a burial hill) was a rare deer haniwa. The only other comparable haniwa are from the Kashihara Kofun in Nara Pref. and the Matsue Kofun in Shimane Pref. 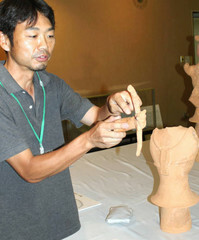 After five years of restoration, these haniwa will now go on exhibition. 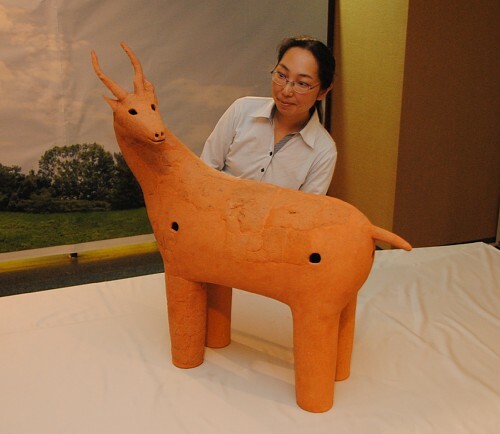 The deer haniwa is 90 cm high and 80 cm long. The deer is looking backwards at its hunter. 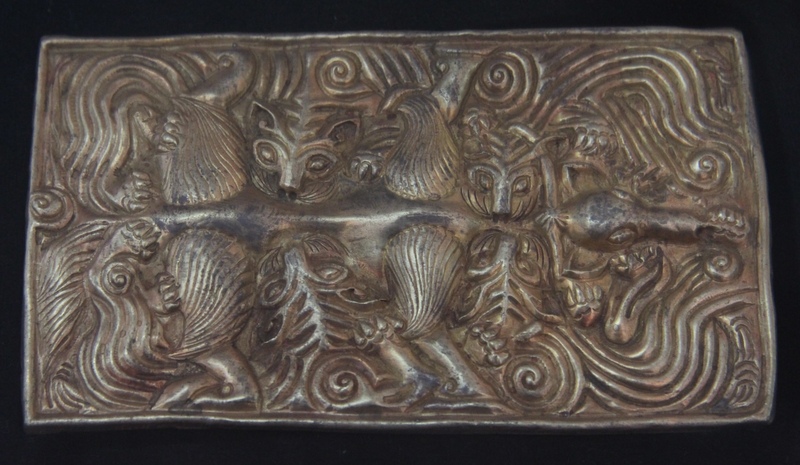 The huntsman figurine is only partially preserved. Only the body and the arm with parts of the bow survived. In the kofun period, hunting scenes were symbols for the rulership over the land, a means of legitimisation. These haniwa are a further piece of evidence to support the autonomous role of clans in the early to middle kofun period. The exhibition starts on the 12th of September 2013 in the Hamakita Regional Museum, 〒 434-0038 Hamakita Culture Center, 291-1 Kibune, Hamakita-ku, Hamamatsu-shi. Tel. 053-586-6207. Kondo, M and Matsu’ura, Sh 2005. 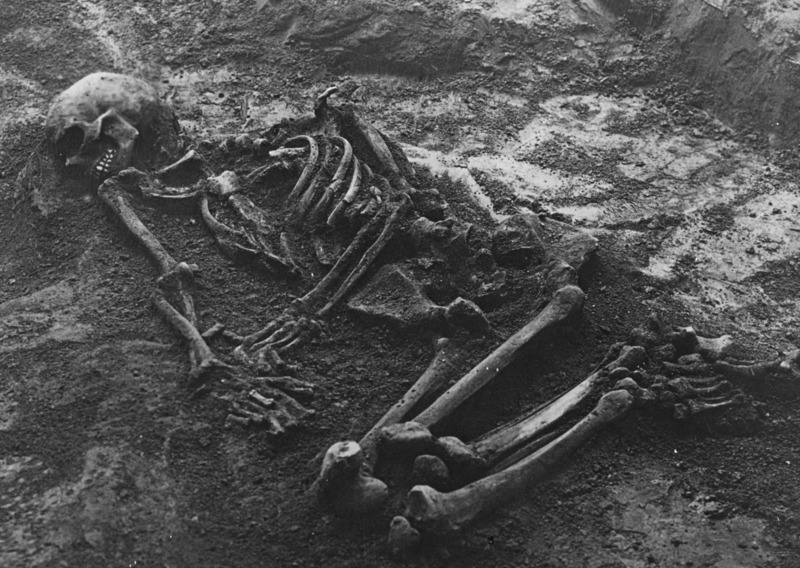 Dating of the Hamakita human remains from Japan, Anthropological Science 113, 150-61. Suzuki, H, Takai, F, Endo, B, Hasegawa, Y, Chinzei, K, and Tanabe, G 1966. Hamakita man and the site of Nekata Limestone Quarry at Hamakita. Journal of the Anthropological Society Nippon 74, 101-176. Quite an offer 🙂 Thank you PNAS! In Durham there stands an old fulling mill besides the River Wear. 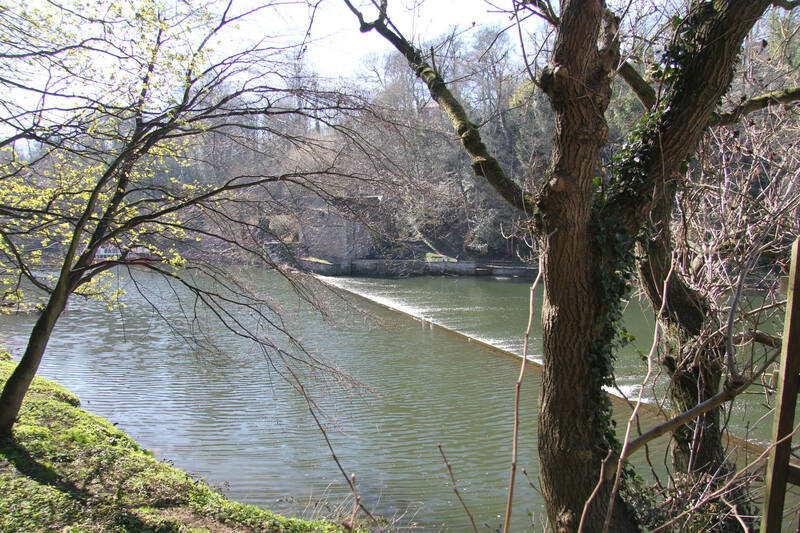 But long before this one, there was an older fulling mill there; a mill from the 12th century, to be exact, because around this time the mill dam was mentioned for the first time. In the 15th century there were even two fulling mills which were owned by the Bishop of Durham and later by the cathedral’s Prior. The money gained from the fulling mill was used for the upkeep of the Jesus Altar in Durham Cathedral. By 1771 there was only one mill left, the so-called Abbey Mill. 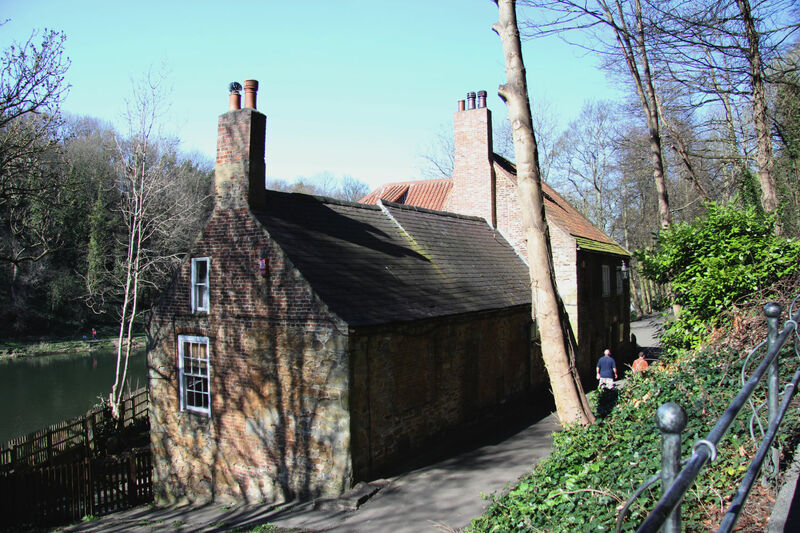 In the 19th century the mill was referred to as the Old Fulling Mill and was in use till 1833 when it was turned into the first university museum of Durham. 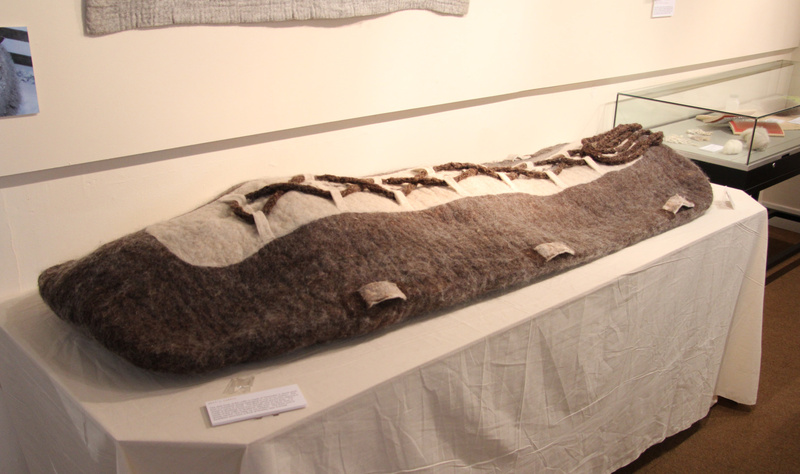 But before I show you some artefacts exhibited in the museum, I would like to have a closer look with you at a fulling mill or rather the process of fulling itself. Before the groundbreaking invention of the waterpowered fulling mill, fulling was a time consuming workload. With written evidence, wool production and trade is much easier to follow. 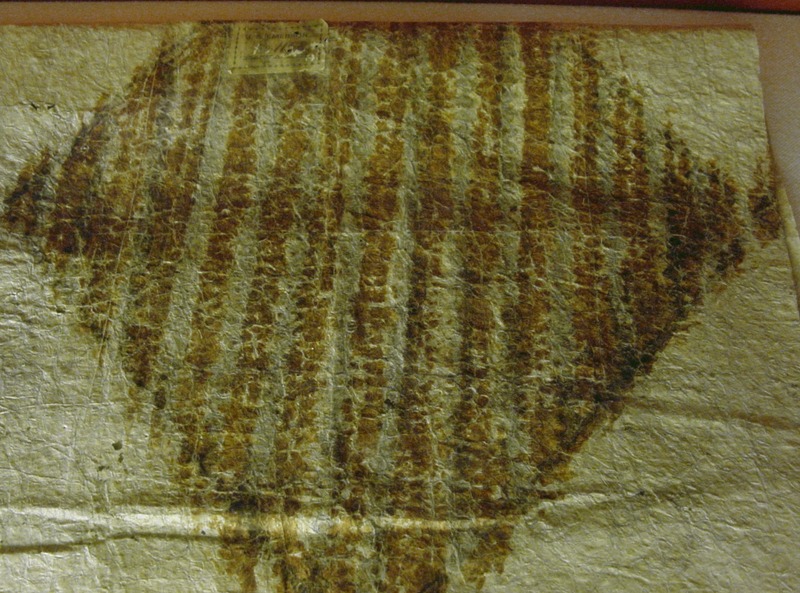 Whereas woolen cloth was not very popular in Ancient Egypt before the Greco-Egyptian period (a washing powder for wool is for example mentioned in the 4th century AD Stockholm papyrus as is the use of ‘fuller’s plant’ or ‘fuller’s herb’ (Jensen 2008), the wool cloth industry boomed in Mesopotamia and became a tremendously important economic factor not only as export good but also as ration (‘payment’) par excellence (Good 2007, 151; Veenhof 1972, 79-88 and 130; Algaze 2008, 82). Economic texts from the Ur III period (early third millenium BC) describe the textile industry under Ibbi-Sin, the last king of the Ur III period, and give a hint of its importance within the royal economy. In Ebla the house of wool (é-siki) was synonym with the treasury (Andersson et al. 2010, 160). 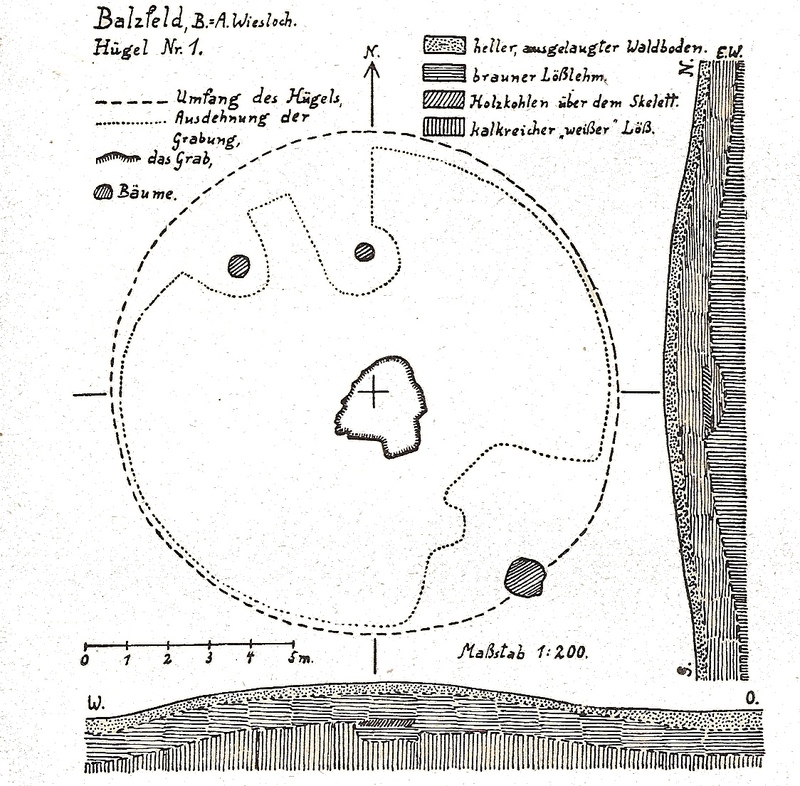 Waetzoldt (1972, 159) examined the work load connected with the process of fulling. According to his studies, to obtain 1 kg of low quality wool, a late third millenium fuller at Lagash spent 6.6 workdays (a workday being 12h per day). A high quality wool needed 71-81 workdays (!). This of course excludes all other steps of the production process like pasturing the sheep, plucking the wool, washing the wool to remove dirt and lanolin, sorting and separating the cleaned wool according to quality and colour, transport of the wool to storehouses, combing (carding) the wool to prepare it for spinning, spinning the wool, dyeing the yarn where applicable, delivering the yarn to the weavers, weaving, colouring of the whole cloth after fulling (Algaze 2008, 86-7). Not surprisingly, the learning of the trade itself required an apprenticeship of 6 years (Sayce 1924, 70). While in Mesopotamia and later in Egypt a kind of soap, made from oil and potash in a 1:5.5 ratio with the occasional addition of soapy plants like soapwort or asphodill (Waetzoldt 1972, 158) was used, this knowledge was not transmitted into the Roman period. According to Pliny the Elder, soap was a Celtic invention; he described soap as an invention of the Gauls, made of suet, ash (with beech tree being the most suitable), and goat’s milk (Pliny the Elder, Historia Naturalis xxviii, 191). 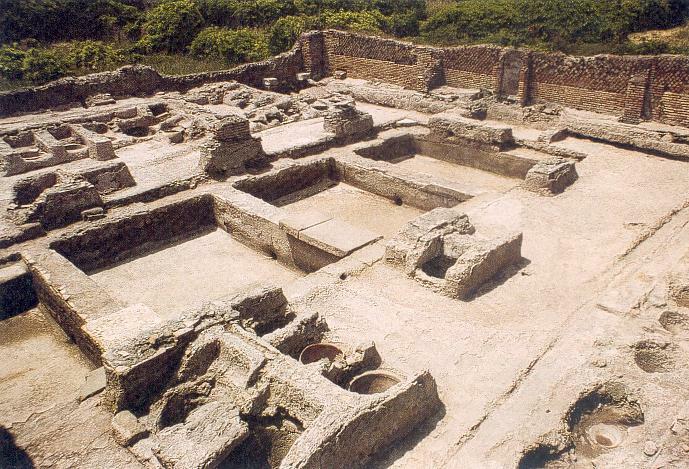 Romans used other substances, for example lixivium (an alkaline solution obtained by leaching wood ash with water), nitrum (soda ash = sodium carbonate), creta fullonia (fuller’s earth , a very fine-grained clay with water content), alkaline marl (a lime-rich mud) and human or animal urine. 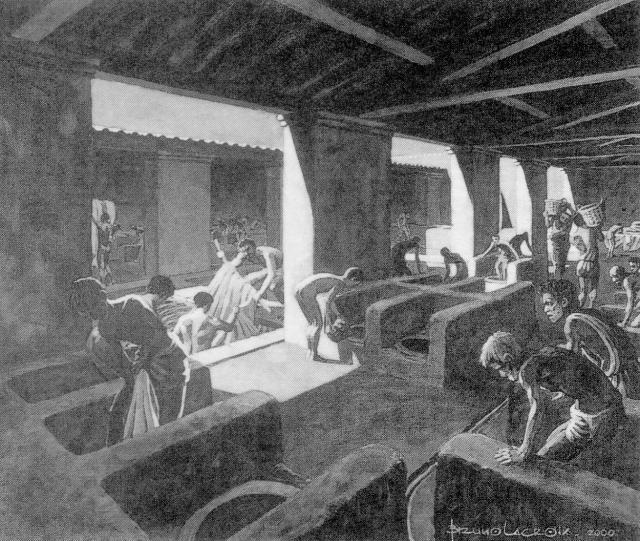 In ancient Rome, the fuller’s trade was at least as important as in Mesopotamia: It included the processes starting from the cleaning and walking (fulling) of raw wool, the colouring, and the cleaning and pressing of worn clothes. 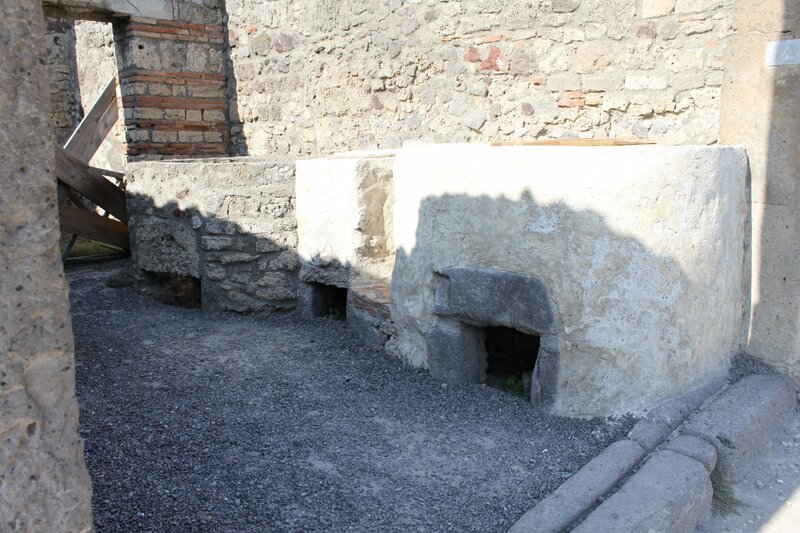 In Pompeii several buildings were dedicated to the cloth industry. The most famous is the fullonica (fullery) of Stephanus (Reg I, Ins 6, 7), mainly because it re-used a posh former residence with an atrium (open central court in a villa). The former impluvium (rain catchment basin) was converted into a washing/fulling basin (for a convincingly different view on re-use of atrium houses see Flohr 2011b). In the peristyle (an open courtyard or garden surrounded by a colonnade) of the fullonica of L. Veranius Hypsaeus (Reg I, Ins V.8.20) there were paintings which related to the fullery’s daily chores (now in the museum of Naples). 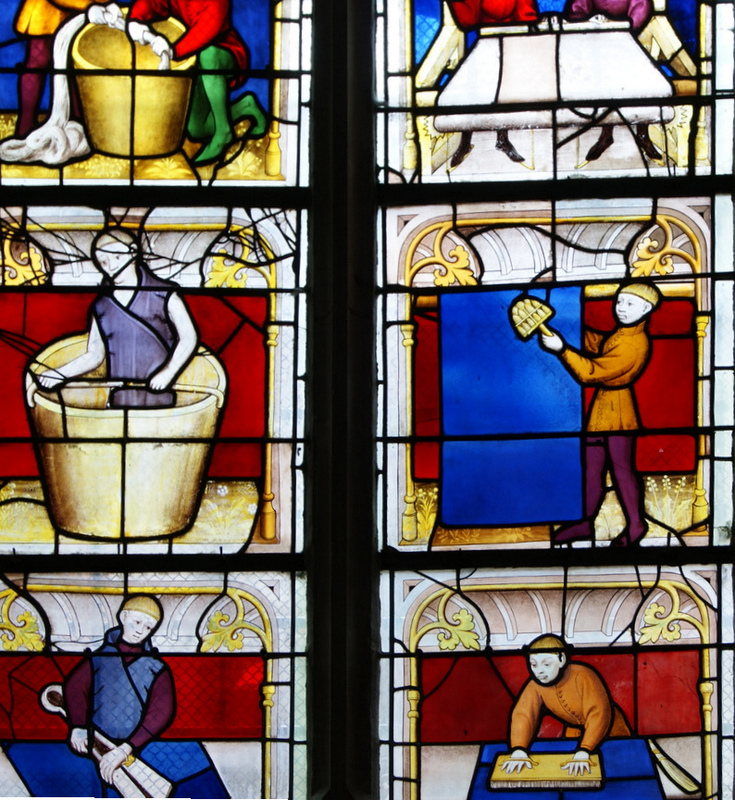 Among other scenes it depicts the process of either fulling the woven textiles in basins or dyeing them. Re-investigations between 2006 and 2008 (Flohr 2011) showed that many similar workshops were also dedicated to the cloth industry. Most were probably cleaners but some had heatable vats, too, and could either re-dye cloth or were full wool processing workshops (e.g. Reg. VI Ins. XVI. 3.4). In other Roman cities the situation was not much different. 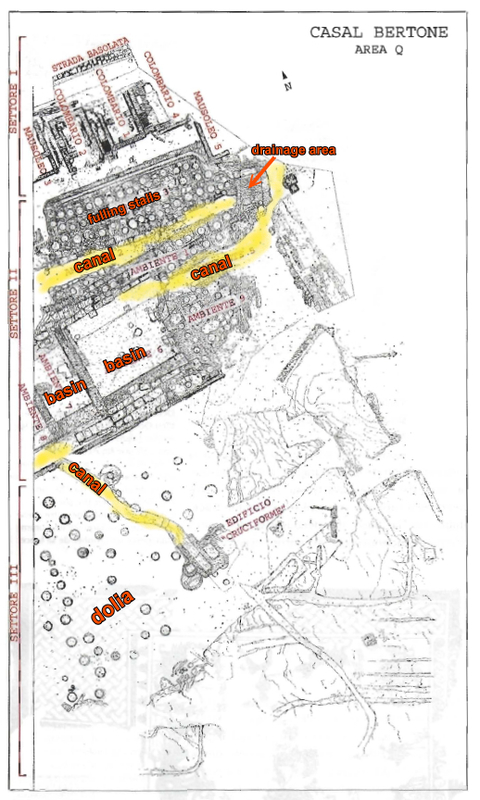 In Ostia, too, there are large numbers of fulleries producing cloth and tending to textiles (Flohr 2011). Fulleries were known for their stench, after all rotting urine (see above) for cleaning and sulphur for bleaching the cloth were used. Bradley (2002, 37-8) writes about health problems due to exposure to detergents like dermatitis and lung problems because of the burning of sulphur. While these health risks can be readily accepted because of the prevalent conditions of work, pathological prove is difficult. However, other work related strains and illnesses can actually be proved, thanks to a recent excavation in Casal Bertone near Rome (Musco et al 2008). A large scale fullery (or possibly a tannery) with several large basins, 90 vats, further 44 dolia (large earthenware containers) as well as drainage canals which divided the compound into several production areas. As already mentioned, the process involved in the production of cloth did not change very much through times. However, in the late 12th century, monks were at the fore front of a minor ‘industrial revolution’ that saw the introduction of fulling mills into Britain. 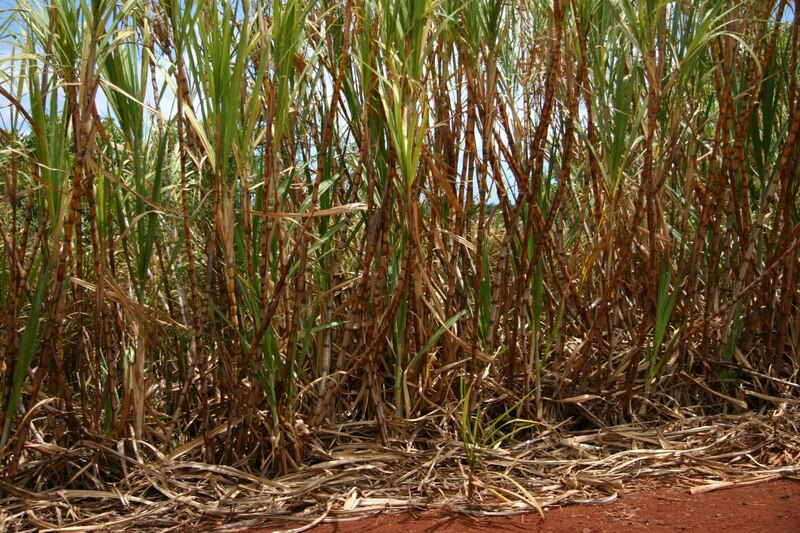 The introduction of water technology revolutionised the fulling process. In AD 1185 two mills were set up by Knights Templars in Temple Newsham, West-Yorkshire and Barton-on-Windrush, Gloucestershire, respectively. Through the monastic ‘information network’ the technology quickly spread beyond the Brithish Isles. In a fulling mill the cloth was beaten with wooden mallets in a trough, usually in three steps. The first one with stale urine, the second with fuller’s earth, and the third one with hot soapy water. Each step lasted around two hours with additional time for rinsing. “They [Don Quixote and Sancho] had gone about a hundred yards farther, when at doubling a point, the very cause, for it could be no other, of that horrible and dreadful noise, which had held them all night in such suspense and fear, appeared plain exposed to view. Durham’s fulling mill, one of the earliest fulling mills in the country, still honours the wool production in its exhibitions. The upper floor is dedicated to wool, rare species of sheep and modern products manufactored in the old traditions. Algaze, G. 2008. Ancient Mesopotamia at the Dawn of Civilization, Chicago. Andersson, E., Felluca, E., Nosch, M-L., and Peyronal, L. 2010. New Perspectives on Bronze Age Textileproduction in the Eastern Mediterranean. The First Results with Ebla as a Pilot Study, In Matthiae et al. 2010, Proceedings of the 6th International Congresson the Archaeologyof the Ancient Near East, Wiesbaden 2010, 159-76. Bradley, 2002. 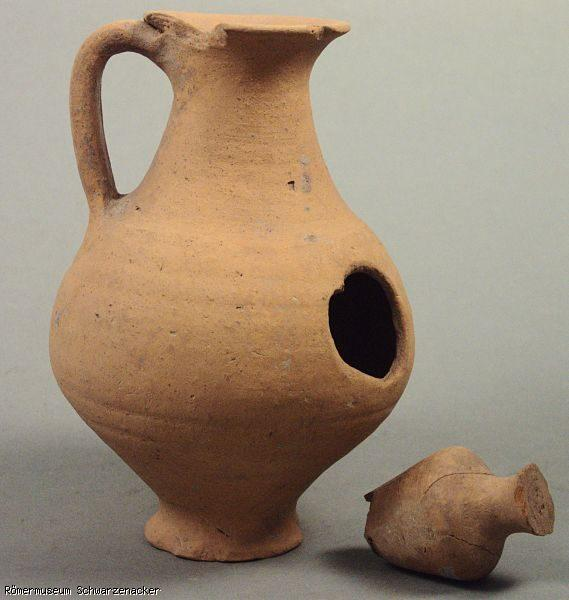 It all comes out in the wash: Looking harder at the Roman fullonica, Journal of Roman Archaeology 15, 20-44. De Ruyt, C. 2001. Les foulons, artisans des textiles et blanchisseurs. In: Descoeudres, J-P. (ed.) 2001. Ostia – port et porte de la Rome, Geneva. Flohr, M. 2011b. 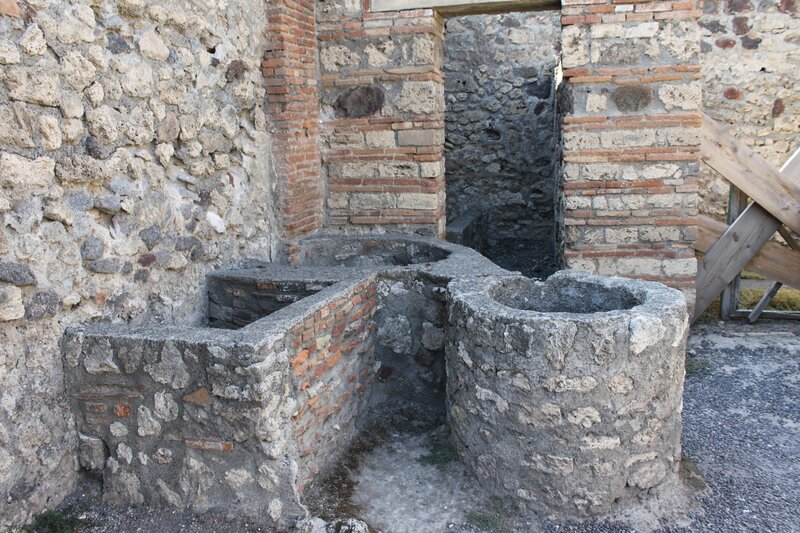 Reconsidering the atrium House: Domestic fullonicae at Pompeii. In: Poehler, E., Flohr, M., and K. Cole, 2011. Art, Industry and Infrastructure, Oxford. Jeffrey, S. 1991. 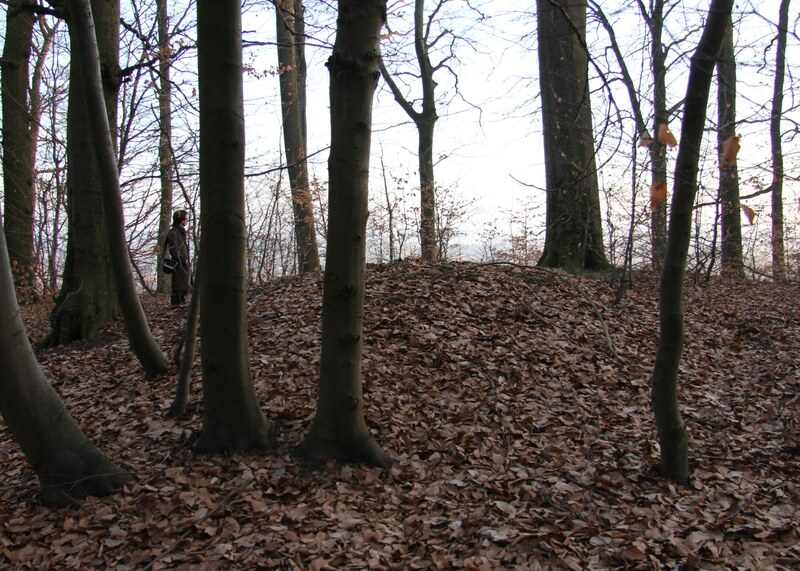 Burnt mounds, fulling and early textiles. In: Hodder, I. and Barfield, L.-H. (eds.) 1991. Burnt mounds and hot stone technology, Sandwell Metropolitan Borough Council, 97-108. Musco, St. 2008. Le complexe archéologique de Casal Bertone, Les Dossiers d’ Archéologie 330, 32-9. Robertson, R. H. S 1986. Fuller’s earth: A history of calcium montmorillonite (Mineralogical Society occasional publication), Hythe, UK. (Cited in Denvir 1999). 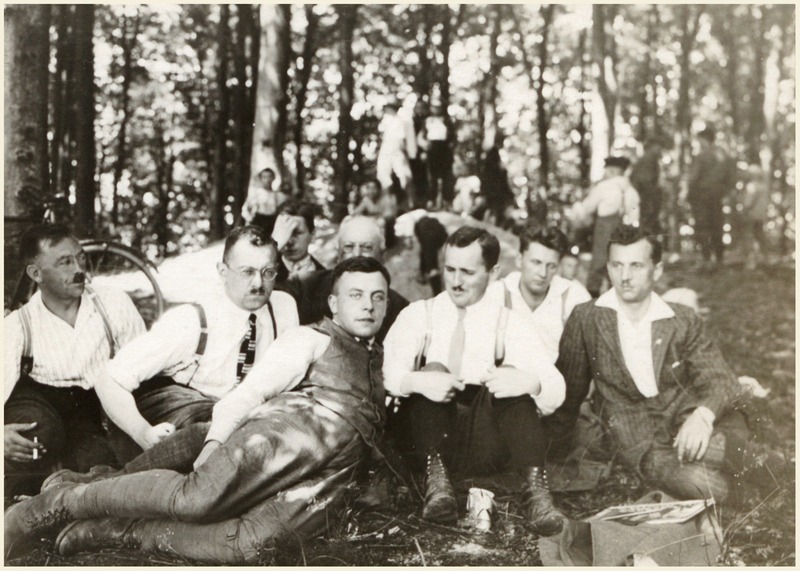 Sayce, A. H. 1924. Babylonians and Assyrians. Life and Customs, New York. Veenhof, K. R. 1972. Aspects of Old Assyrian Trade and its Terminology. Studia et Documenta vol. X, Leiden. Waetzoldt, H. 1972. Untersuchungen zur neusumerischen Textilindustrie, Rome. 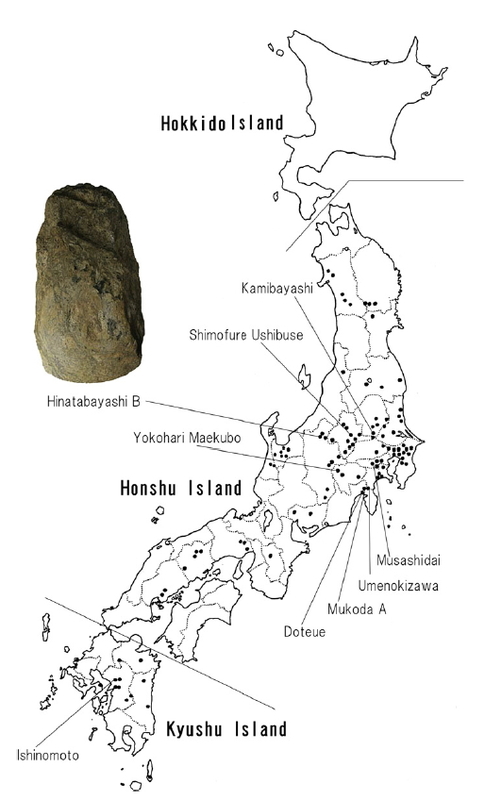 A new publication by Takashi TSUTSUMI (2012), published in Quaternary International (unfortunately filed under his first name Takashi), examines edge-ground stone axes which belong to the early Upper Palaeolithic of the Japanese archipelago, their possible uses, and their importance for the question of when the first modern humans arrived in Japan. He especially draws on his work at the Hinatabayashi B site. Edge-ground axes were first discovered in 1949 at the site of Iwajuku. 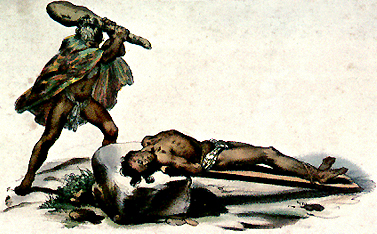 However, their connection to the Palaeolithic wasn’t readily recognized and they were instead attributed to a pre-ceramic Neolithic by Yamanouchi (Yamanouchi and Sato 1962). This was mainly based on a comparison with European polished axes. Only large-scale excavations from the 1970s onwards allowed a more precise dating and their attribution to the Palaeolithic period. In Europe pottery vessels are markers for Neolithic cultures; so are polished stone axes. 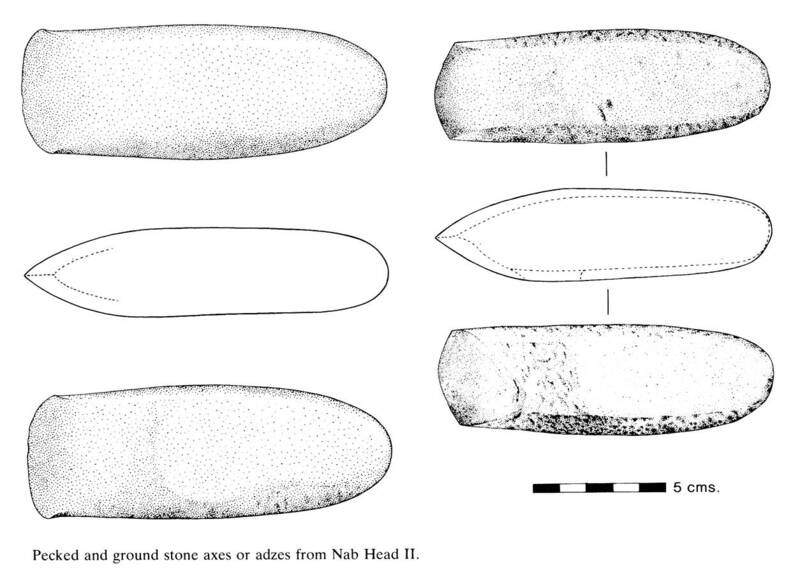 While some ground stone axes can be found in the later Mesolithic of Ireland (Woodman 1978) and Wales like these from Nab Head II (David 1989) in Wales no earlier ground stone axes are known in Europe. In Japan, however, the situation is different. While modern humans (Homo sapiens) only arrived around 40,000 BP on the Japanese archipelago, it wasn’t before long that they began to experiment with lithic technology. Soon the first edge-ground axes (局部磨製石斧（きょくぶませいせきふ) appeared. The earliest ones are from Ishinomoto site 石の本遺跡 in Hirayama, near Kumamoto on Kyushu. 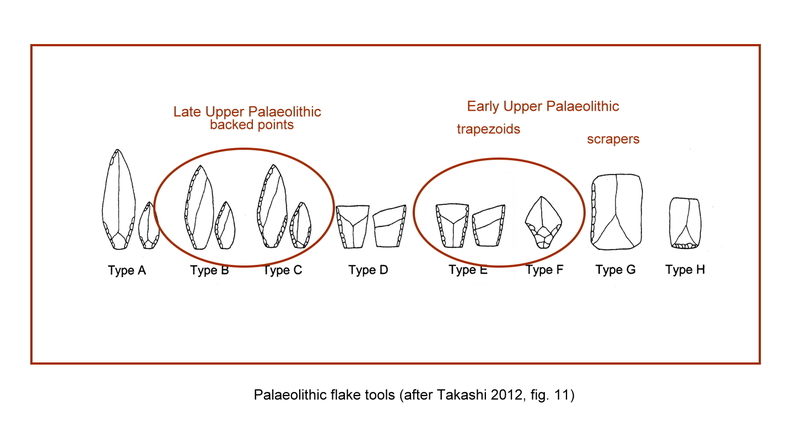 Radiocarbon dated charcoal associated with these axes gave dates between 35,000 and 32,000 cal BP (Takashi 2012, 73). This innovation rapidly spread throughout Kyushu and Honshu. Although seafaring was practiced at this time the Okinawan islands as well as Hokkaido are interestingly void of edge-ground axes. The basis for dating these edge-ground axes are quite solid with the well-dated Aira-Tn tephra (AT) that covers all of Kyushu, Shikoku, and Honshu. The high precision 14C age for the AT tephra is 25,120 ± 270 BP (Miyairi et al. 2004). The tephra marks the boundary between the Early Upper Palaeolithic (EUP) beneath the tephra band and the Later Upper Palaeolithic (LUP) above the tephra band. All edge-ground axes are from strata below the Aira-Tn tephra. Radiocarbon dates associated with charcoal from several sites confirm a dating to the EUP. Apart from serpentine stone used for edge ground axes, andesite, chalcedony, and obsidian provided the raw material for flake tools. They show very clearly the existence of a wide trading network and even the beginning of expeditions to exploit certain territories. Obsidian, for example, must have been brought in from at least more than 40 km and the Kozu Island Obsidian from even further away, namely about 100 km into the Pacific, reachable only by boat. To decide upon the usage of these axes Tsutsumi looked at the available use wear data (Sahara 1993, Tsutsumi 2006, Takahashi 2004, Iketani 2004) as well as conducting additional studies on 36 axes from Hinatabayashi B. It is interesting to note that all the chipped axes found at Hinatabayashi B did not show any traces of use wear. Tsutsumi therefore concludes that these are unfinished products. The larger edge-ground axes which showed signs of heavy work, were most probably used for felling trees and modifying wood. Smaller axe heads which showed few evidence of damage on the blades display the characteristic luster that comes from processing hide. This is well in accordance with vegetation reconstructions for this time period. At Hinatabayashi B for example, pollen records show that Picea (spruce), Abies (firs), and Tsuga (hemlock) prevailed around Lake Nojiri (Kudo & Kumon 2012, 29) and were used as fire wood. Today, this type of vegetation can be found at 1500 – 2500 m asl, but conditions at the EUP were colder and therefore these kinds of forests could be found around Lake Nojiri (650 m asl). 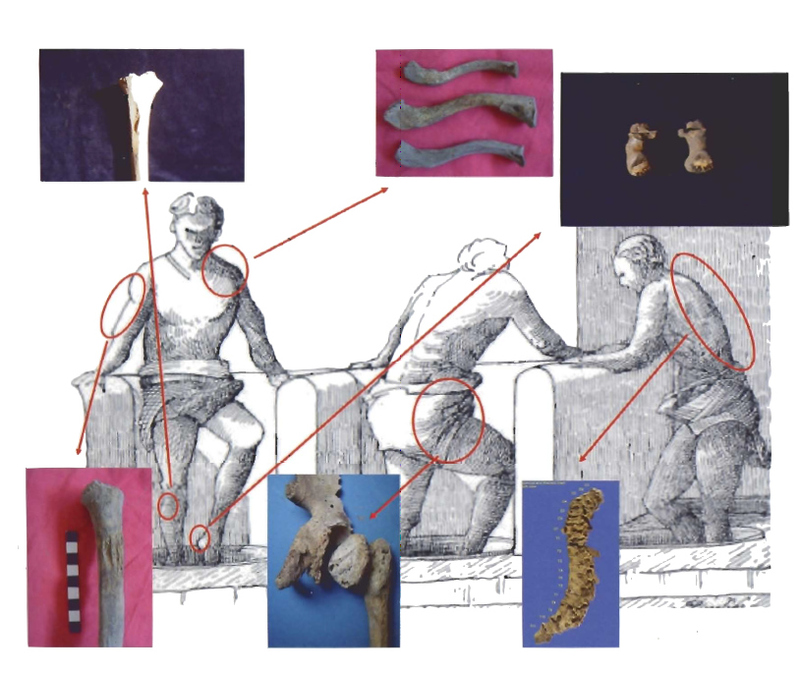 Especially flake tools of type E and F suggest hunting activity; use-wear analyses showed that they were used for cutting meat but also for stabbing as in a thrusting-spear. 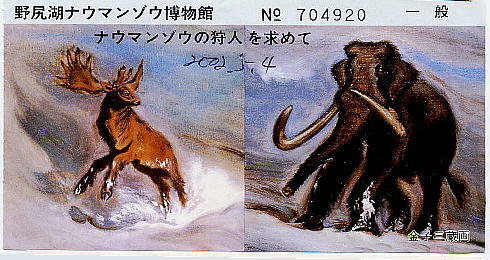 However, although Naumann’s elephants (Palaeoloxodon naumanni) and giant deer (Sinomegaceros yabei) were present in Honshu, fossils of these large animals are scarce and kill sites of the EUP (40 – 30 ka BP) unknown (but see Anthropology and Archaeology Research Group for Nojiri-ko Excavation (ed. ), Study on the Paleolithic Sites around Lake Nojiri (野尻湖周辺の人類遺跡), The memoirs of the Geological Society of Japan (19), 215-249, 1980 and http://www.avis.ne.jp/~nojiriko/nojirikojin.html). On the other hand some 50 trap pits are known from a wide range of sites dated to the Early Upper Palaeolithic. Hatsunegahara 初音ヶ原 (Ono et al. 2002, 480) from about 27 to 25 ka BP is one of the largest trap sites, featuring 60 pit traps; even older is the site of Ôtsubobata with 12 pits dating to 30 ka BP (Yamamato & Kawaguchi 2009). 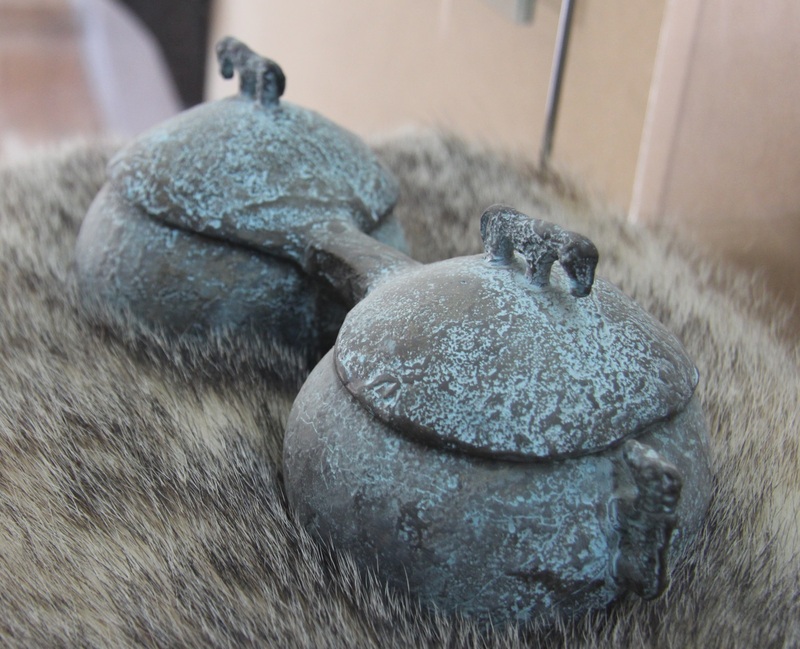 These traps were used simultaneously and were carefully laid within the game trail that lead down to the valley. Distribution of trapping pits (Tanegashima). 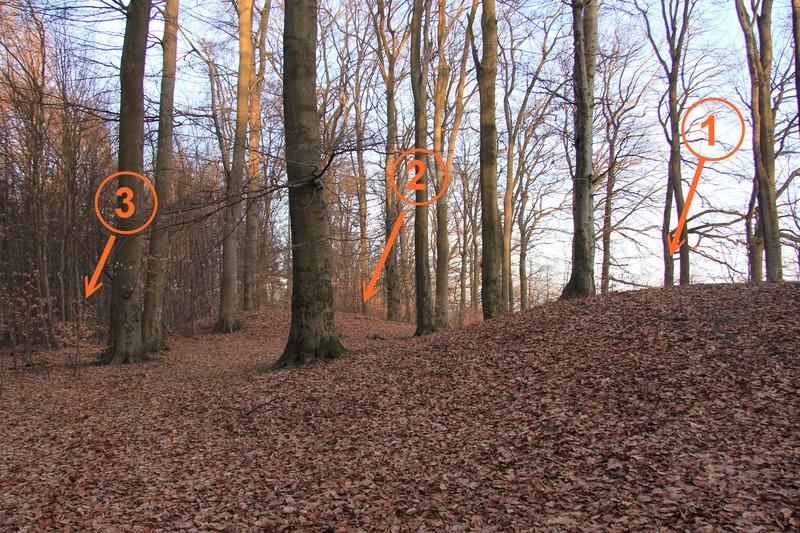 The white arrows indicate the direction of the game trail. The altogether twelve pit traps in Otsubobata on the island of Tanegashima have been closed by the Tane IV ash layer and thus gave the possibility of quite accurate dating, since the Tane IV ash layer is dated (30.5 ka BP). Where did these Palaeolithic hunter-gatherers live? Several larger group campsites (some up to 80 m in diameter) have been studied. They consist mostly of large circular or oval areas with a central open space and huts or tents distributed around it. 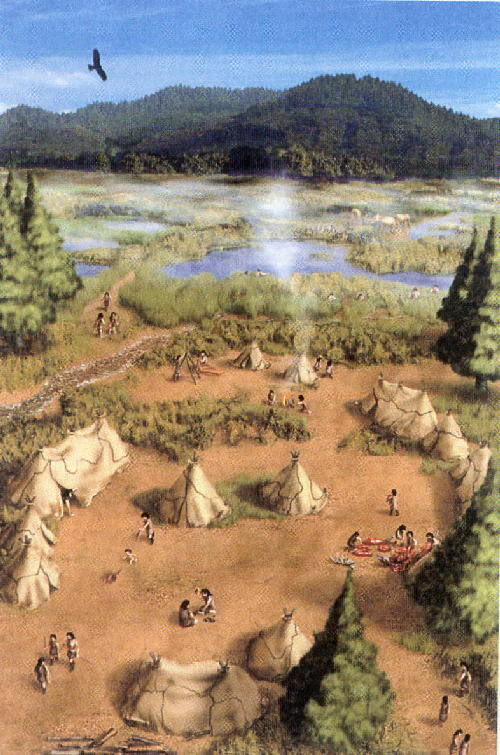 This is how it is imagined how such a circular campsite might have looked like; it is an artistic view of the Kambayashi site 上林遺跡 (30-20,700 BP) based on stone artefact distributions. It is estimated to have provided space for 50 to 100 people or about 10 families. Campsites are usually built on river terraces or slopes overlooking a water source which would have also been their hunting ground. However, this view has recently been challenged by Takanori SAKASHITA (2010) who studied the site of Tana Mukaihara 田名向原遺跡 (19-23,000 calBP). The results of the re-excavation showed that thermally altered obsidian artifacts are not only concentrated around the hearths, but also in the post holes, suggesting that the so-called post holes indeed functioned as hearths. 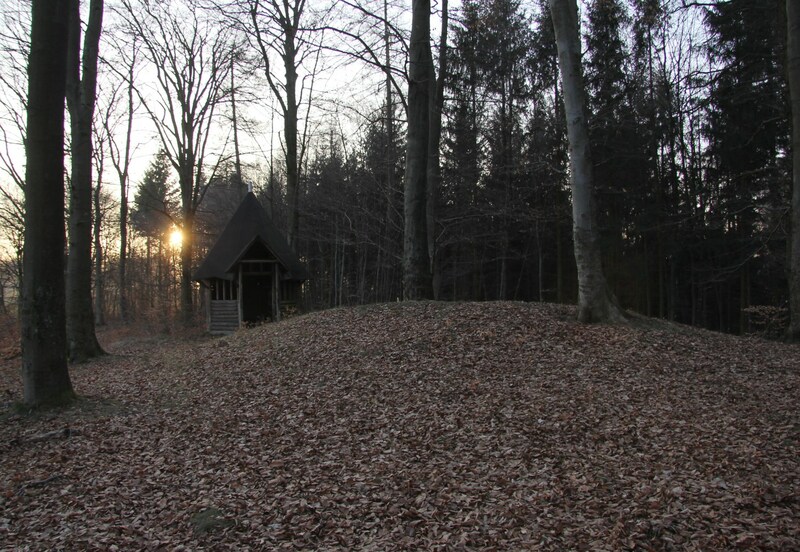 On the other hand, cooking stones and other material from the two larger central hearths could still have been used as stabilizer for posts as a secondary usage or the ‘post holes’ could indeed have been smaller fire places associated with light tents (which would not have left any traces). A re-examination of other circular campsites would be necessary to decide which interpretation would be more appropriate. David, A 1989. Some Aspects of the human presence in west Wales during the Mesolithic. In: Bonsall, C (ed.) The Mesolitic in Europe, Edinburgh, 1989, 241-53. Iketani, K., 2004. 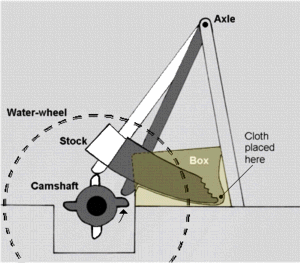 Use-wear analysis of the axe-shaped tools from the Ryusuijiura site. 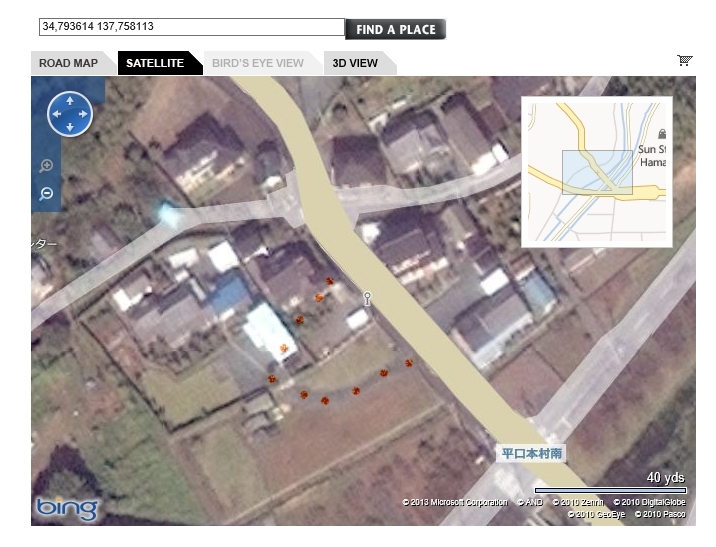 Ryusuijiura Site, pp. 162-180, Inbagun City Archaeological Center (in Japanese). Cited by Takashi 2012. Ono, A, Sato, H, Tsutsumi, T and Kudo, Y 2002. Radiocarbon Dates and Archaeology of the Late Pleistocene in the Japanese Islands, Radiocarbon 44 (2), 477-94. Available here. Sahara, M 1993. The Cultural History of Axes, Tokyo (in Japanese). Sakashita, T 2010. Assessing the Reality of a Palaeolithic “Dwelling Structure” in the Japanese Archipelago: The Structure of the Tana-Mukaihara Site, Asian Perspectives 49 (2), 318-31. Takahashi, S., 2004. Use-wear analysis of the stone axes from the Minamisanrizuka Miyabara 1 site.Inbagun City Archaeological Center (in Japanese). Cited in Takashi 2012. Tsutsumi, T 2006. The function of Upper Palaeolithic axes, Journal of Nagano Archaeological Association 118, 1-12 Nagano Archaeological Association (in Japanese). Woodman, PC 1978. The Mesolithic in Ireland, BAR British Series 58. Yamanouchi, S & T Sato 1962. Jomon doki no furusa [The antiquity of Jomon pottery], Kagaku yomiuri 14 (12), 21-6 and 84-8. 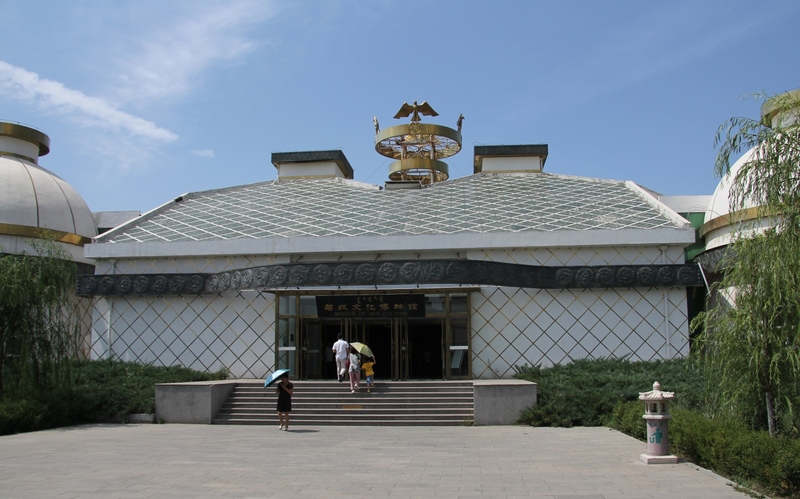 South of Hohhot you can find the museum’s complex Wang Zhaojun. 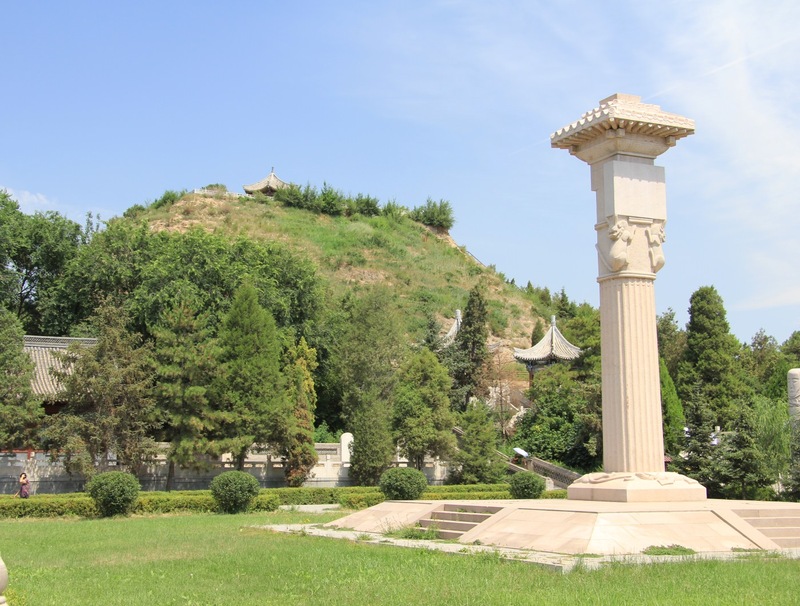 It consists of several museums, galleries, monuments, and other installations around the supposed burial mound of Wang Zhaojun, a Han royal concubine who was married to the Mongolian Khan Chanyu Huhanye. 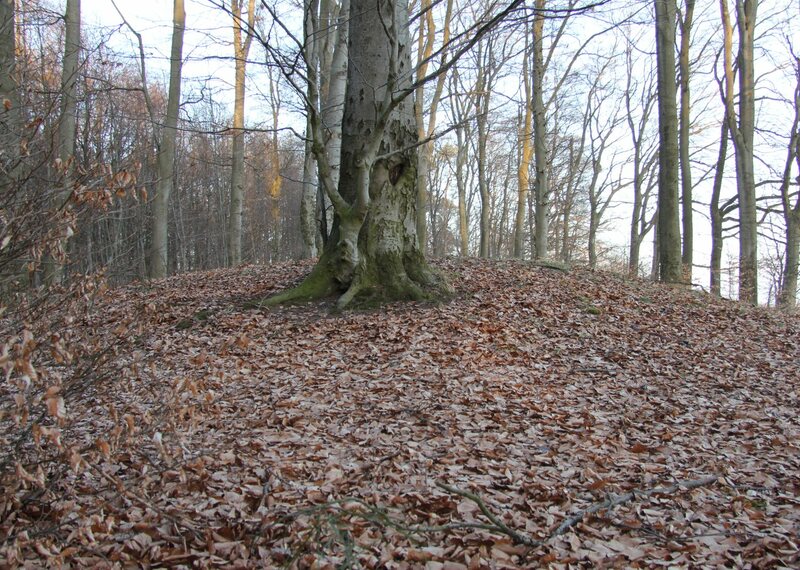 The mound, also called the Green Mound, allegedly stays green even though all the other grass around it become yellow. 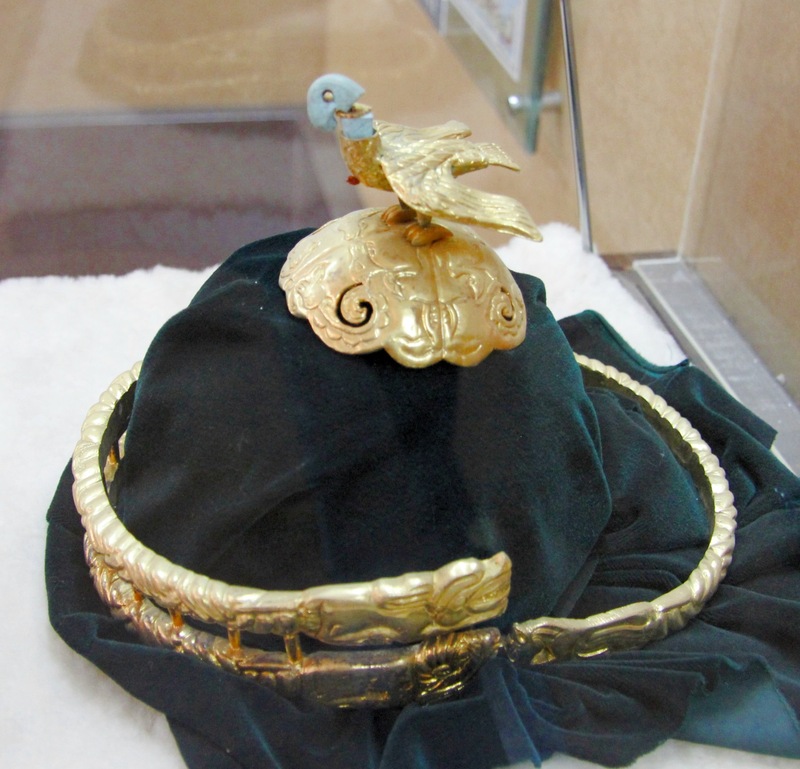 Whether it really contains the coffin of Wang Zhaojun is not known, since it has never been excavated. There are nine similar tombs in Mongolia after all. Wang Zhaojun left China and the court of emperor Yan in 33 BC only 17 years old to marry the king of the Huns. 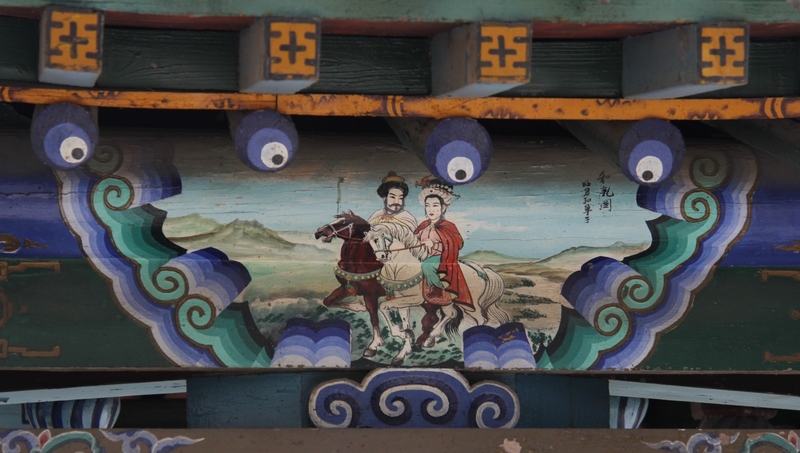 This story left of course room for adaptations and thus countless poems, novels, and dramas were written and performed, featuring poor Zhaojun who left the civilized world and led a life of a living death for the peace of her country. To reconstruct her life is, however, difficult since a lot of different life stories of her exist and her life was fictionalised as early as the Tang period. Whether she really suffered silently for her country is of course unknown, too. On the other side of the border she is often depicted with her husband riding out happily. Maybe she was homesick but she was also a queen of large country; a status she would have never reached back in China where she only was a concubine in waiting. 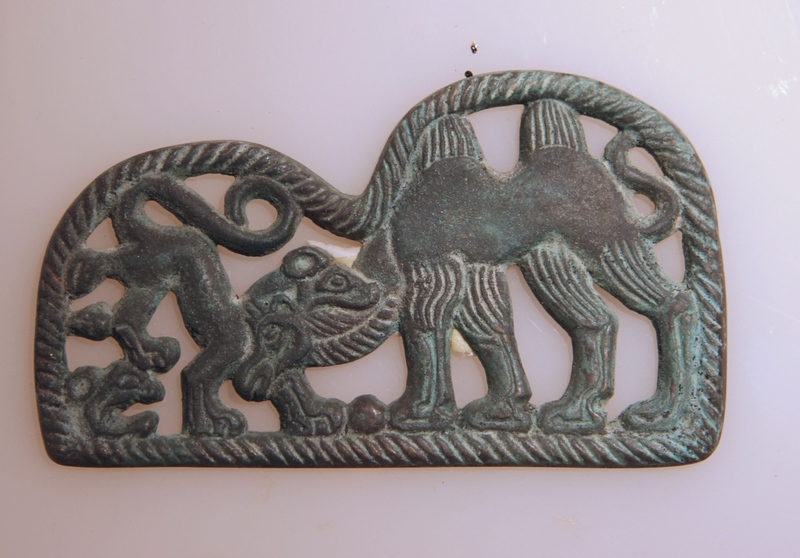 If you are interested in the exterior of the huge area (133,000 m²), you should go to my other blog; here I will rather show you some items from the museums, since Mongolian or Xiongnu archaeology, as it is called, are quite rare to see on Western language blogs. 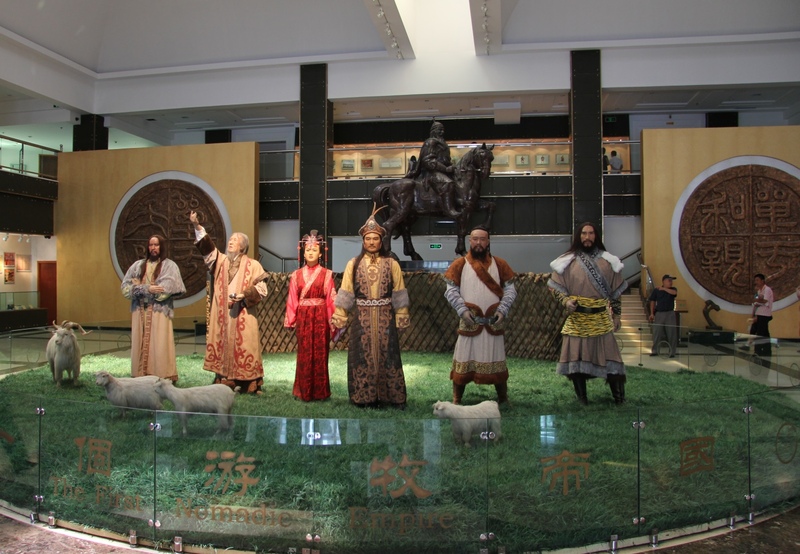 The larger Xiongnu Heritage Museum had a more diverse exhibition, ranging from graves to petroglyphs of the steppe-nomads to weapons of the Huns. 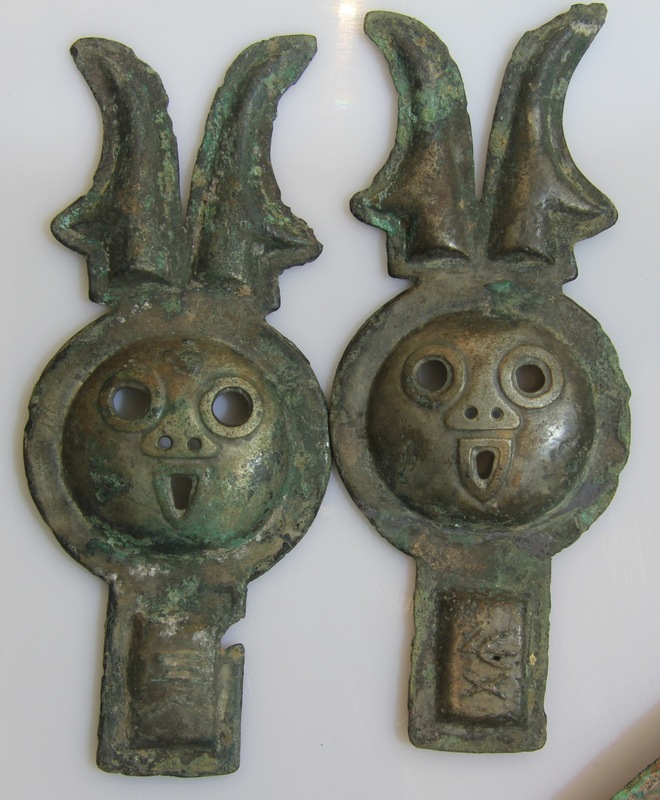 In 1979/80 a Western Han Dynasty cemetery was found in Maoqing Gully near the town of Ulanqab. Excavated were so far 81 graves all with rich grave goods; bronze and iron weapons, horse harnesses and bones from cattle, horse, and sheep. On the photo you can see the well-preserved belt buckle as well as the bronze dagger. The Mandela rock art group consist of around 4600 petroglyphs, distributed in an area of 18 km². Here you can see a hunting scene; the hunter also brought his horse. The associated sign attributed this particular style to the Spring and Autumn period (720 – 481 BC) or Warring States period (475 – 221 BC). Die deutsche Version befindet sich hier. During our summer holidays in the Philippines we spent some time in Manila and since you simply can’t stay on the main island Luzon without having visited the tentative (but not yet) Unesco World Heritage site of the Angono Petroglyphs we went on a small trip (it is just 2.5 to 3 hours from Manila) to the rock shelter of Angono. The Angono rock shelter near Angono, Rizal, Luzon, Philippines was discovered in 1965 by the artist Carlos ‘Botong’ Francisco on a field trip with boy scouts. The significance of this petroglyph site was immediately recognized and recording of the petroglyphs as well as excavation of the rock shelter started in the same year. In 1998 a small museum was built to emphasize the cultural value of the site. Since 1993 it was submitted to the tentative list of the UNESCO World Heritage Convention. Contrary to the description on the Unesco website it is not a cave but a rock shelter of about 63 m length and up to 5 m height. The engravings are basically spread on a 25 m long and 3 m high panel and carved into the volcanic tuff. 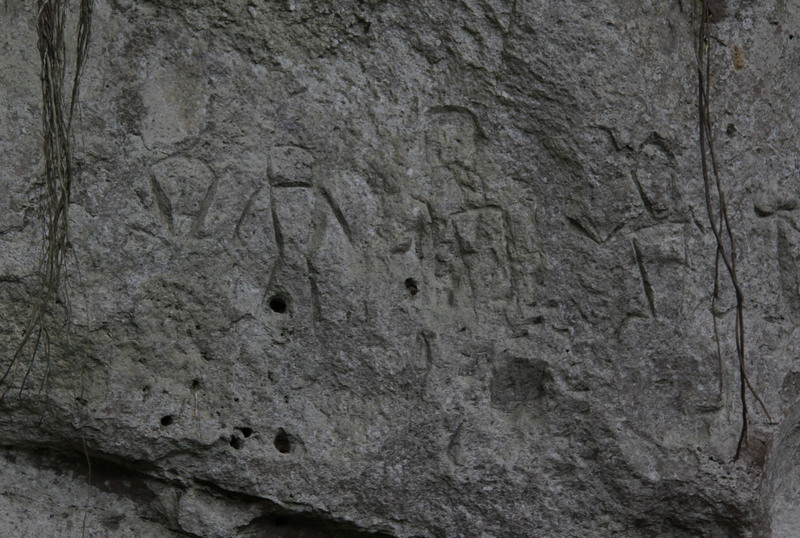 127 anthropomorphic figures have so far been identified. There are also geometrical motifs like triangles, rectangles, or circles. 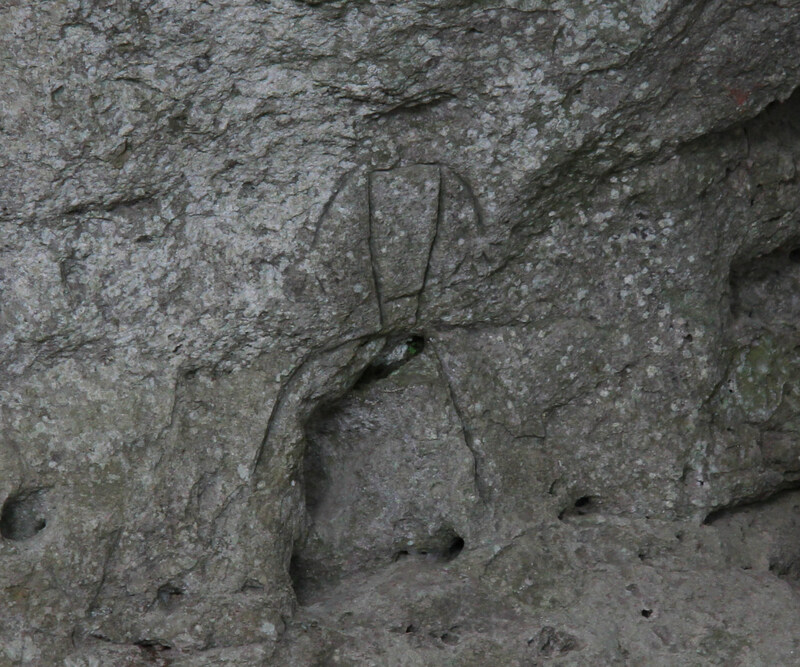 Some figures use existing cracks and forms like this one; one leg is actually the side of a small cavern. Up to present these are the oldest engravings that have been found in the Philippines; the only other site with engravings, Alab, Bontoc, Mountainprovince in Northern Luzon are of much later date (after 1500 BC), if they are indeed connected to the coffin burials in a cave below the Alab rock shelter. 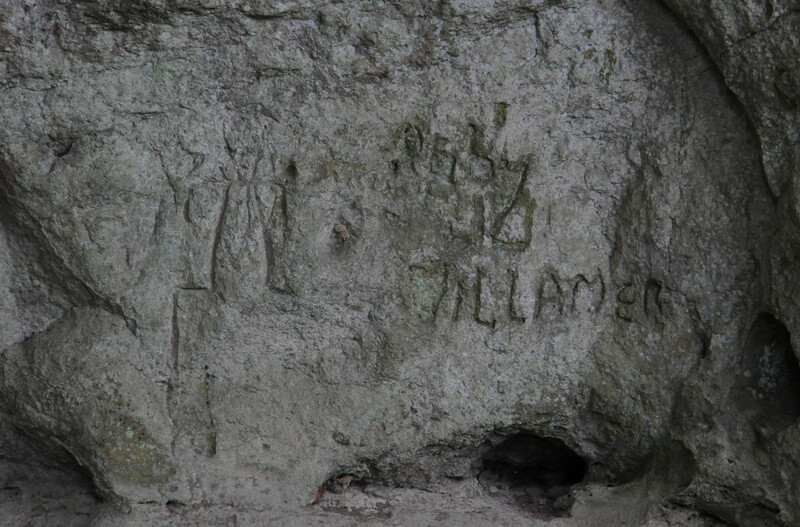 Not only engravings can be found in the Philippines. 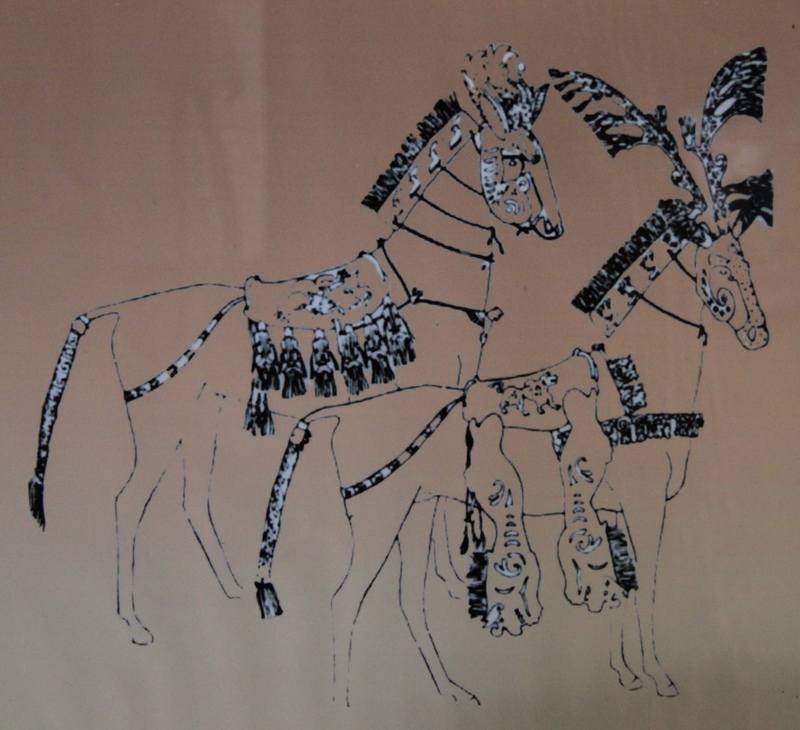 Charcoal rock paintings are known from Peñablanca Caves in Cagayan Valley and Ugpay Cave in the Singnapan Basin in Ransang, Palawan as well as paintings made by using red hematite, known from Anda Peninsula, Bohol Province. 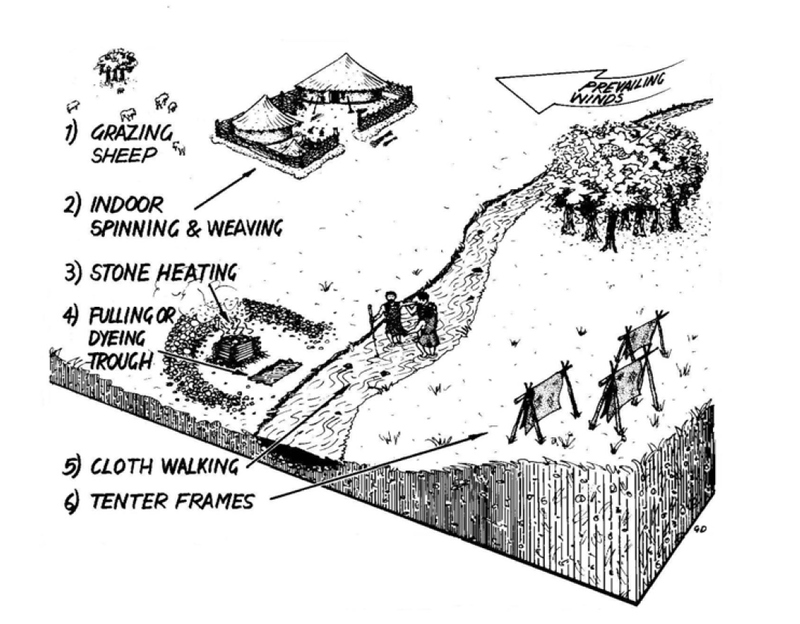 Excavations of the rock shelter produced mainly remains from the Neolithic and Palaeolithic. Palaeolithic pebble tools, but also coarse and low-fired pottery fragments, tortoise shells, and Neolithic polished adzes were found in front of the rock shelter. 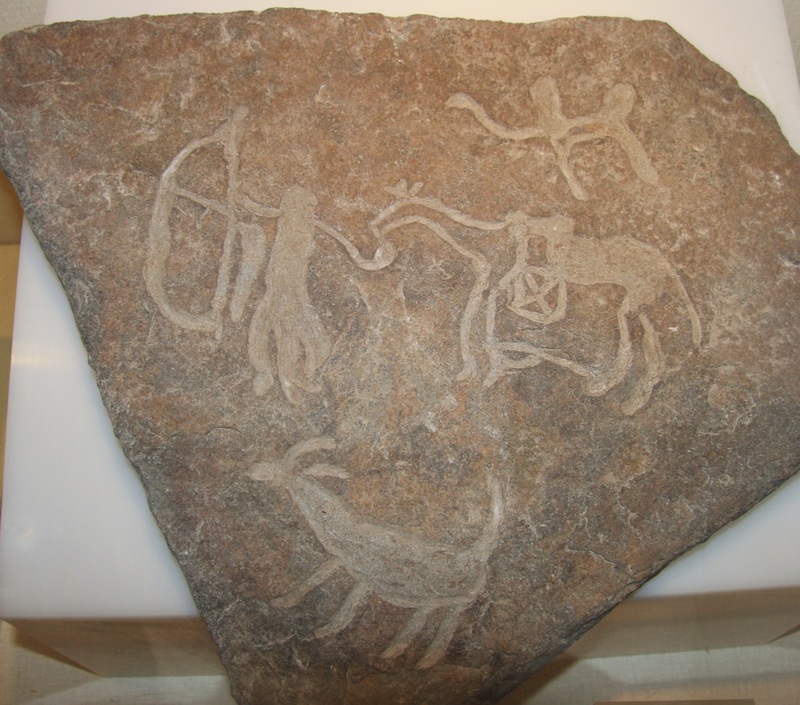 Since the majority of finds can be allocated to the Neolithic it is assumed that the petroglyphs also date to the Neolithic (between 2000 and 3000 BC). 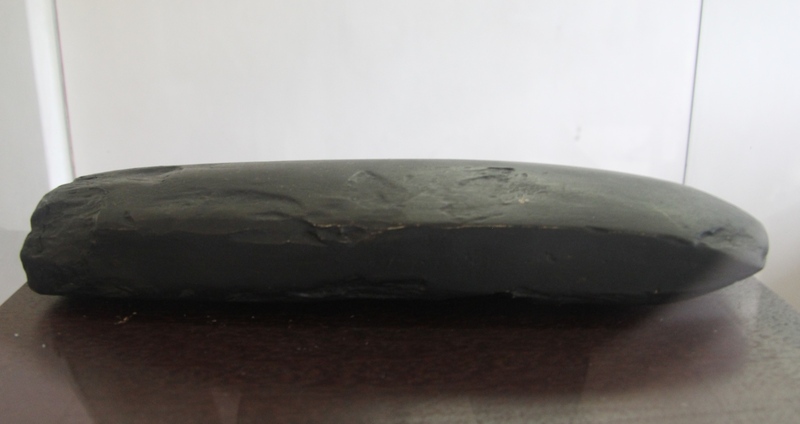 A well-preserved adze can be viewed at the museum’s exhibition. This view is also confirmed by comparison with other dated sites in Thailand, Sulawesi, and Malaysia. As already mentioned, the figures consist mostly of anthropomorphs, tortoises (? ), and geometric motifs. 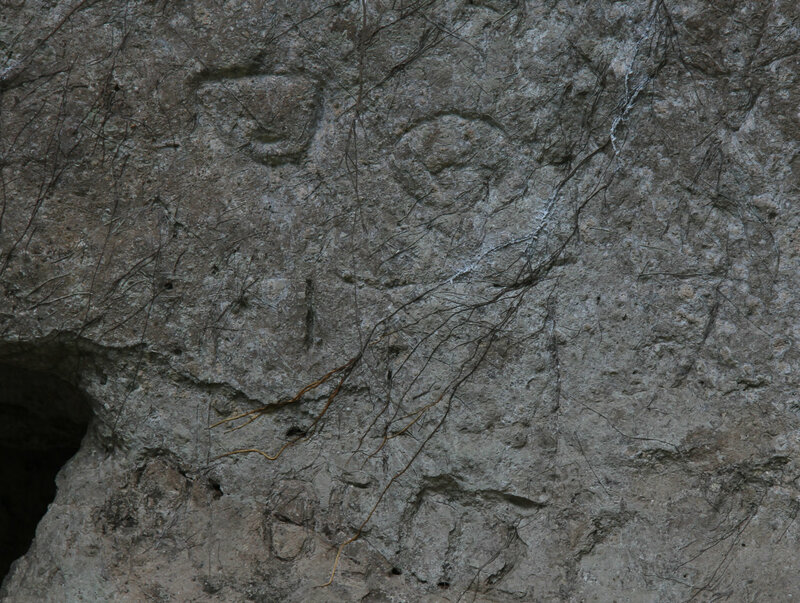 Alphabetic writings were added in recent times and show the continuing attraction the rock shelter presented. Although we cannot know the purpose of these signs we know that apart from profane reasons like looking for shelter and protection, caves and rock shelters were often used for burials and/or offerings. The famous Duyong burial in Palawan was a Neolithic burial that was included into an already existing shell midden inside the cave. Polished adzes were part of his funerary kit, but also tridacna shell adzes. The teeth of the young man were stained and presented the first evidence of betel nut chewing. But also the late Neolithic early metal ages jar burials can be found in caves as well as coffin burials. Even older are the remains of a cremation burial in Ille Cave, Palawan. This burial of a young woman was incorporated in an existing shell midden, too. Radiocarbon dates gave an age of 7000 BC (Lewis et al. 2008). 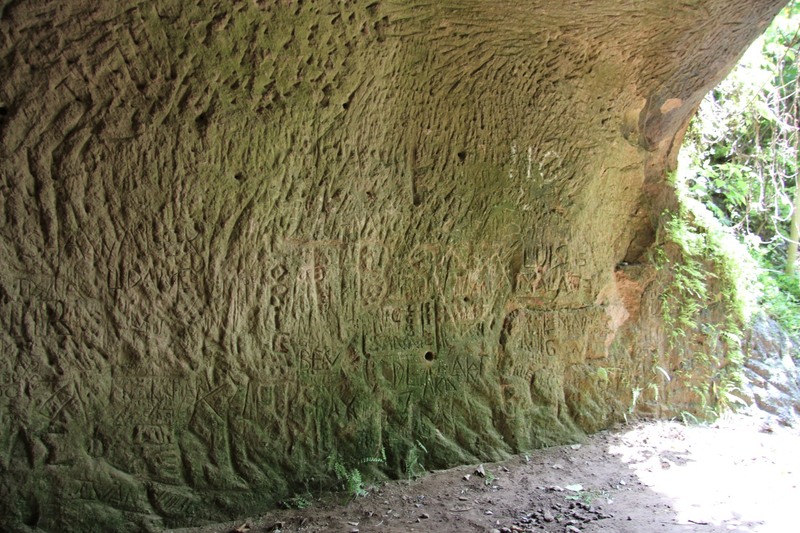 In Angono, no skeletons have been found during the excavations and since the excavation reports are not easily accessible outside of the Philippines, I do not know whether Angono rock shelter was used as a living space or rather had ritual significance. Were the adze pieces deliberately broken and/or subjected to fire? Are tortoise shells rare in cave sites? After all Angono rock shelter is 235 m above sea level. Have the shells been found in a limited concentration which could suggest feasting events similar to the upbuilding of shell middens? Were the pots smashed? I cannot say, but I know that the Angono site had a special meaning for the Neolithic population in order to come up here time after time and carve the walls of the rock shelter. Lewis et al. 2008. Terminal Pleistocene to mid-Holocene occupation and an early cremation burial at Ille Cave, Palawan, Philippines, Antiquity 82, 318-35. Peralta, Jesus T. 1973. 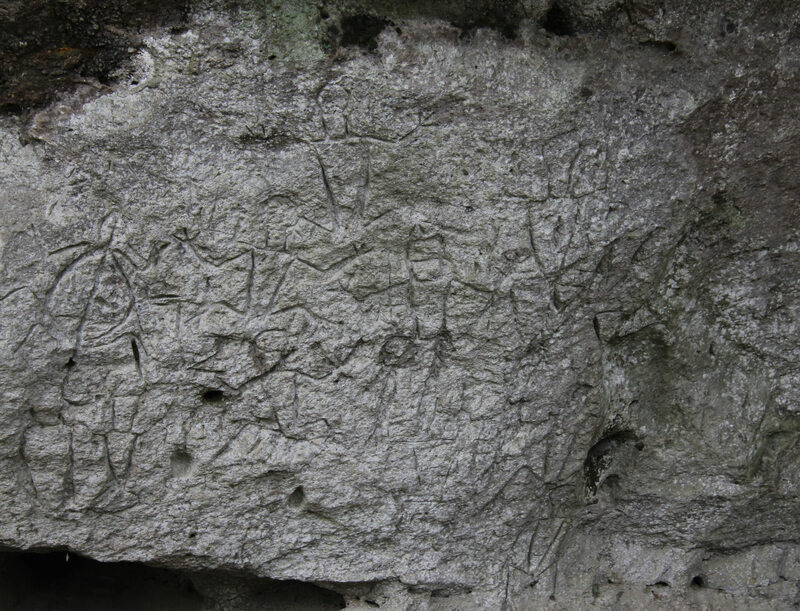 The Petroglyphs of the Angono Rockshelter, Rizal, Philippines. Master Thesis, Department of Anthropology, University of the Philippines, Diliman. Philippines National Museum.